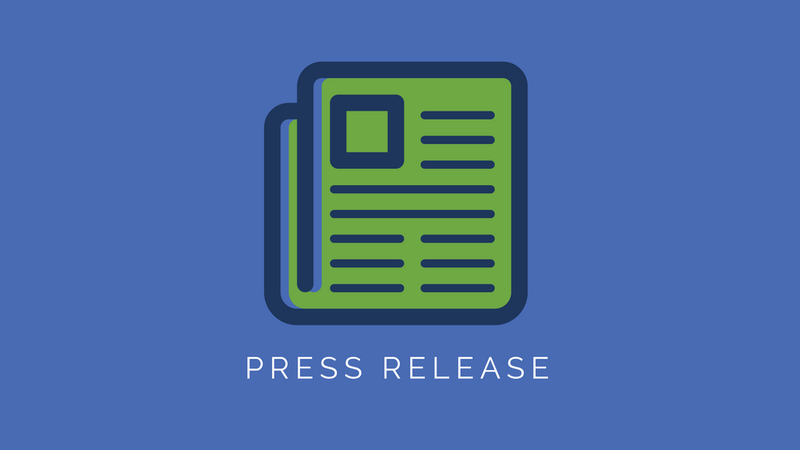 Charlotte, NC, February 20, 2019 – Internetwork Engineering (IE) announced today that CRN®, a brand of The Channel Company, has named IE to its 2019 Managed Service Provider (MSP) 500 list in the Elite 150 category. This annual list recognizes North American solution providers with innovative approaches to managed IT services. These services help customers improve operational efficiencies, maximize return on IT investments, and continuously help them navigate the complexities of IT solutions. Charlotte, NC – December 13, 2018 – Internetwork Engineering (IE) today announced a new partnership with Nutanix, a leader in enterprise cloud computing, to offer Nutanix solutions to IE’s customers throughout the Southeast. 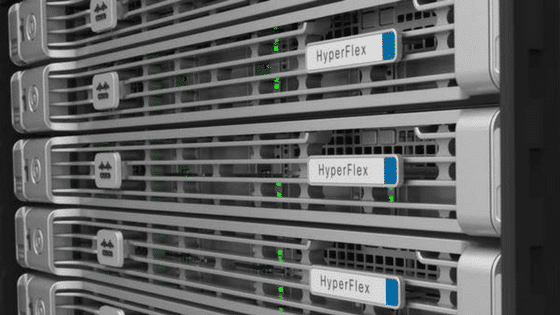 The partnership will help IE to deliver industry-leading hyperconverged infrastructure (HCI) technology with one-click management through Nutanix’s enterprise cloud platform. Classroom technology enhances the learning experience, encourages collaboration, and helps students develop future-ready skills. 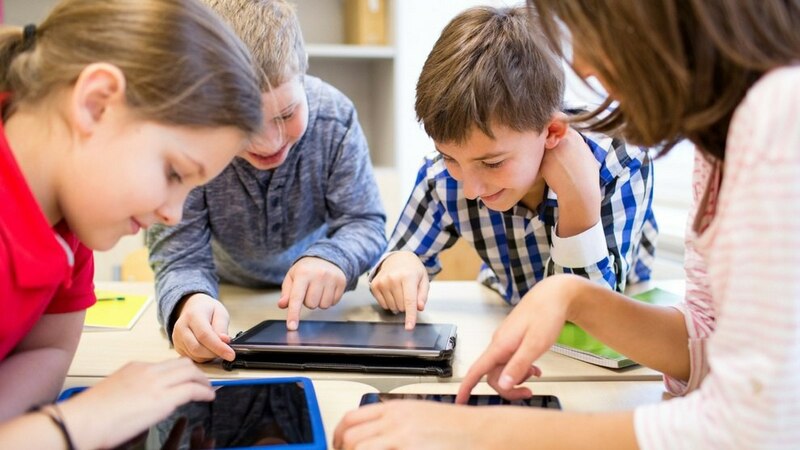 A school’s infrastructure has to include a reliable data center that's robust enough to handle the data flow and connectivity, however, initiatives like 1:1 and BYOD are not the only way devices are connecting to campus networks. The world of IT has become more complex over the years. 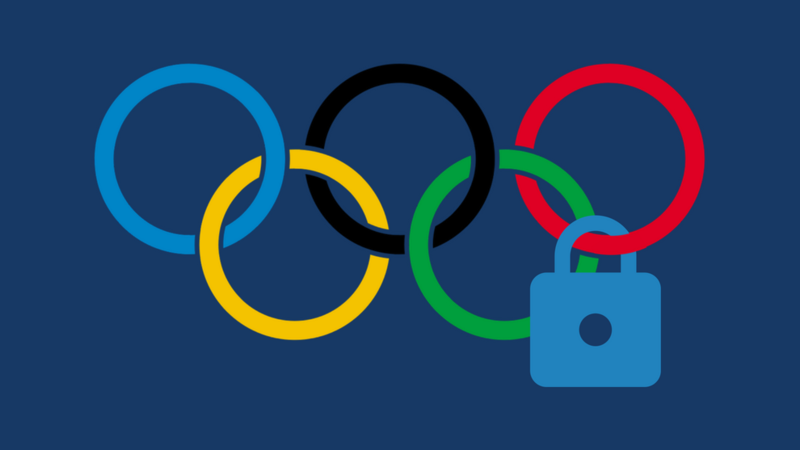 If you've ever wondered what IT god you aggravated for cybersecurity to be thrown into the mix and become ever-increasing in priority and complexity, you aren’t alone. There always seems to be some new exploit tactic popping up, new acronyms to be defined, or redefined, and new products to protect your business against new vulnerabilities. How do they all apply to you and what should you be focusing on? While each organization is different, here are the cybersecurity lessons we’ve learned over the past year. Recently at Cisco’s annual partner conference in Las Vegas, Nevada, Internetwork Engineering (IE) received the Architectural Excellence Partner of the Year: Enterprise Networking Award for U.S. South for its innovation, leadership and best practice as a Cisco business partner across the Southern region. Chuck Steiner, IE President & CEO, accepted the award on behalf of the company which was recognized for its commitment to intelligent infrastructure that improves customer advantage and success. As the cyberthreat landscape continues to rapidly evolve and get more complex, it’s become imperative for organizations to build a network architecture that includes automated cybersecurity monitoring systems, workforce education, training, and awareness. This will help to dynamically detect and prevent threats that may or may not have been knowingly introduced internally and provide increased visibility and protection to all outsider threats. 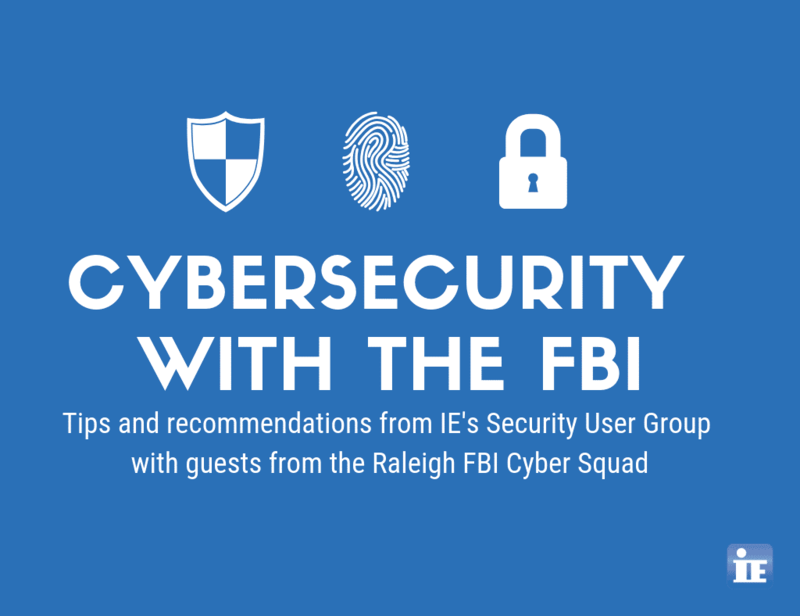 We’ve had the great pleasure of working with the Charlotte and Raleigh FBI Cyber Squad units as a part of our quarterly Security User Groups in the Charlotte and Triangle areas respectively. Whether you’ve had the opportunity to attend one of the user groups where the FBI has been our guest panelist or not, here’s a recap of what cybersecurity trends they’re seeing and other recommendations they have. 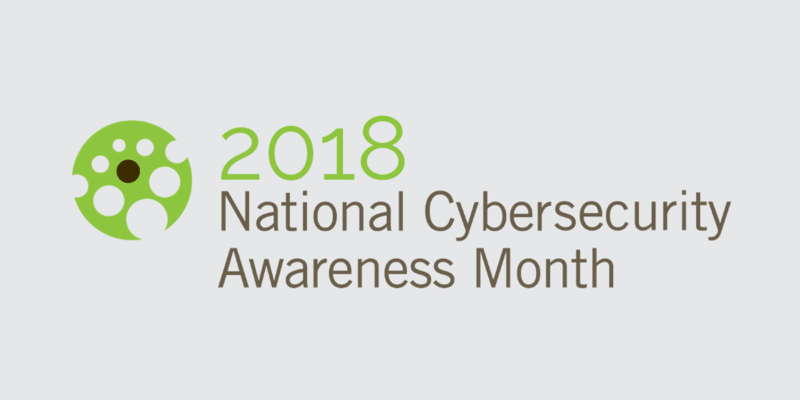 For the past month, the National Cyber Security Alliance has been highlighting four themes as part of the 2018 National Cybersecurity Awareness Month campaign. These four themes serve to educate and emphasize the need for consumers, businesses, and students to all play their part in keeping our homes, communities, and infrastructure safe and protected. (Charlotte, NC) – October 25, 2018 - Internetwork Engineering (IE) announced this week that it has successfully renewed numerous certifications and specializations with Cisco. 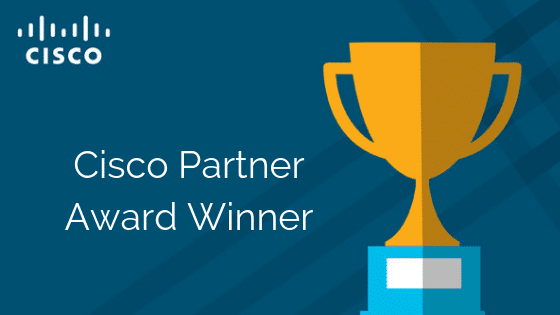 The renewals include its status as a Cisco Gold Partner, Master Collaboration Specialization, and Cisco Cloud & Managed Services Master Partner (MSCP). September 27, 2018, Charlotte, North Carolina: Internetwork Engineering (IE) is proud to announce its X as a Service (XaaS) suite of IE OnDemand service offerings with its latest launch of IT as a Service (ITaaS). IE’s XaaS suite delivers IT infrastructure and services to businesses throughout the Southeast without the hassles of traditional IT procurement processes. As a part of XaaS, ITaaS allows you to transform IT into a resilient, reliable, and continuously available utility that brings strategic value to the business. “Hurry up and deploy the gear. We have a deadline. Just get it done. We’ll go back later to lock it down.” Sound familiar? For years now, it’s been commonplace for network engineers to do just this. Except, someone rarely goes back to “lock it down”. 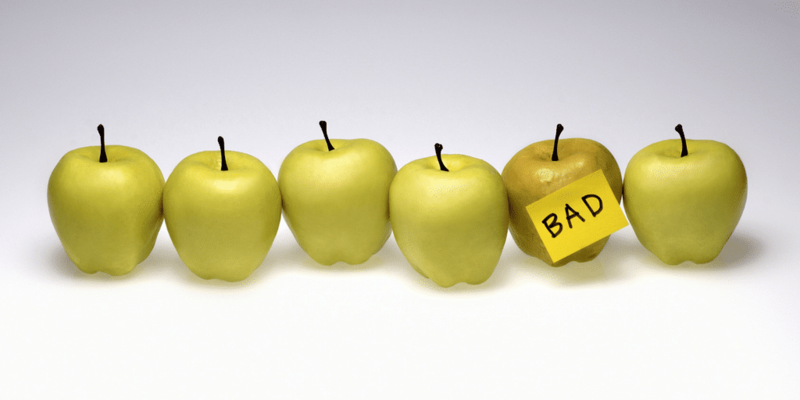 There are countless ways to improve network security, but today we’ll focus on the low-hanging fruit by providing you with ten simple practices. Since May of 2018, we’ve heard a lot about VPNFilter malware and the growing number of affected devices. We’ve even been given the directive to reboot our routers to stop the malware which also enables the FBI and other security groups to better track it. While rebooting the router won’t remove the malware, it will stop the advanced portions of VPNFilter from continuing. To remove the Stage 1 VPNFilter payload, you must apply the proper patch and updates from the manufacturer. Hold on to your digital assets, the World’s Most Famous Hacker is coming to the Queen City! 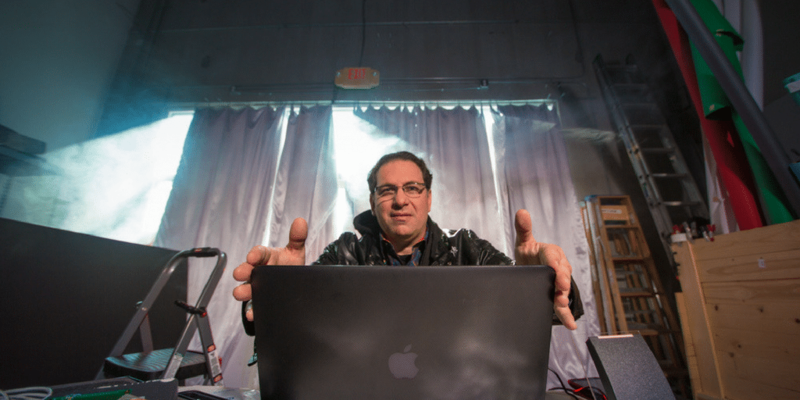 We're excited to announce that legendary hacker, bestselling author, and now a top security consultant, Kevin Mitnick will keynote at this year's OktoberTekfest. 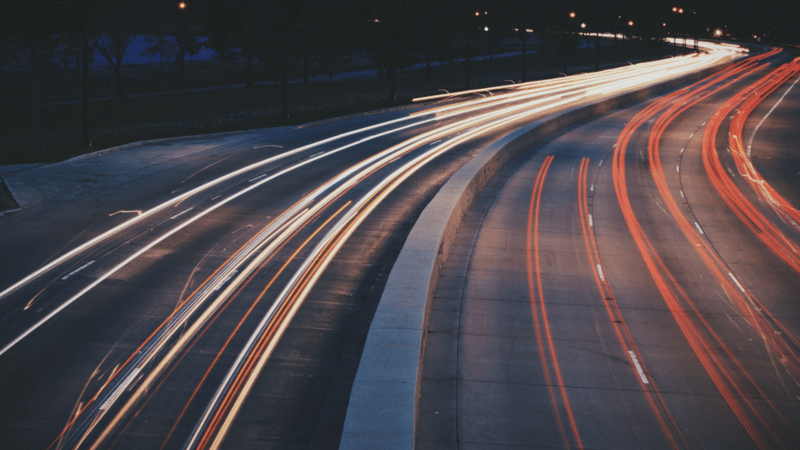 IPv4 To IPv6 Migration: Why the wait? 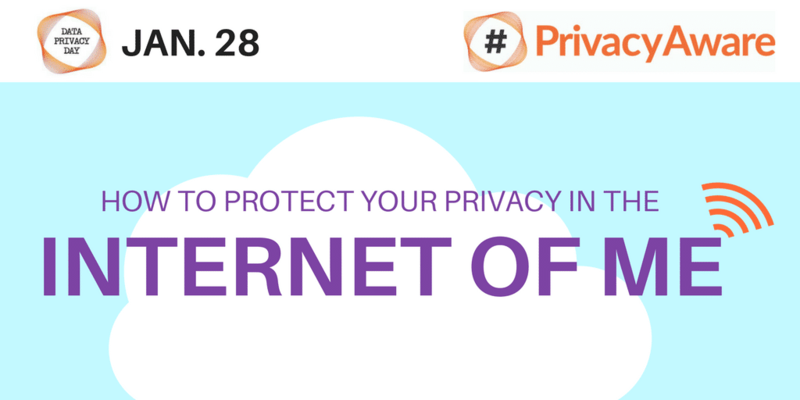 Have you transitioned your company’s network away from IPv4 and over to IPv6 yet? If not, why? For years now, we’ve heard apocalypse-type theories of how we need to move to IPv6 or the internet will die. IPv4 exhaustion has been rumored since the 1990s and IPv6 has been around for 19 years, so if you haven’t made the jump, you’re not alone. Google tracks IPv6 statistics and, as of December 2017, only 18.67% of the world has deployed IPv6, with the United States adopting at a faster approximate 25% rate. 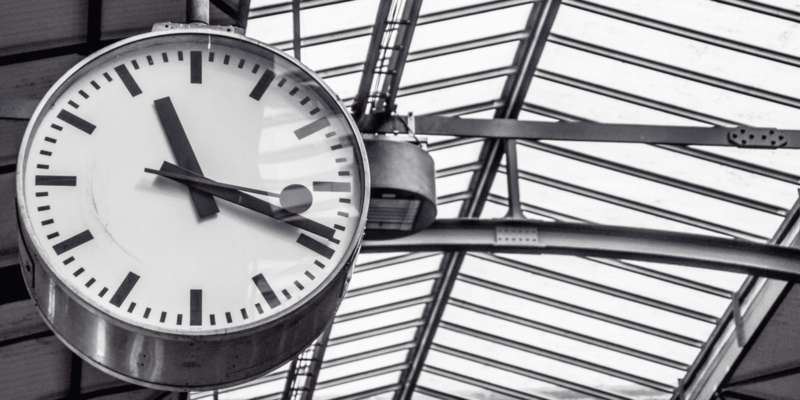 If we all know that IPv6 will be the standard at some point, then why is it taking so long to transition? I attend a lot of collaboration conferences every year. 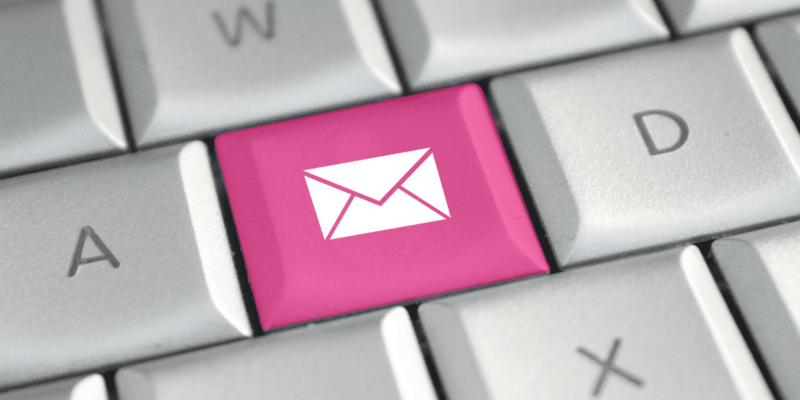 Over the last couple of years, I routinely hear the same question: Is email dead? In this post, I hope to shed some light on the reason people are asking this question, and why it should matter to you. 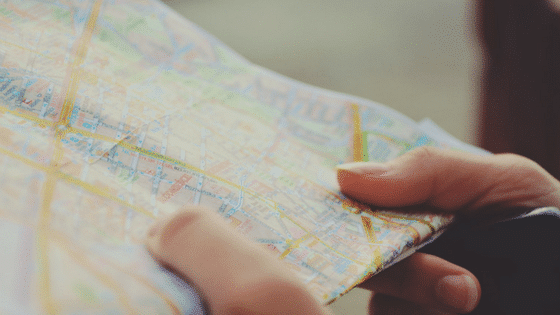 What’s a Whitelist and Why Do You Need One? 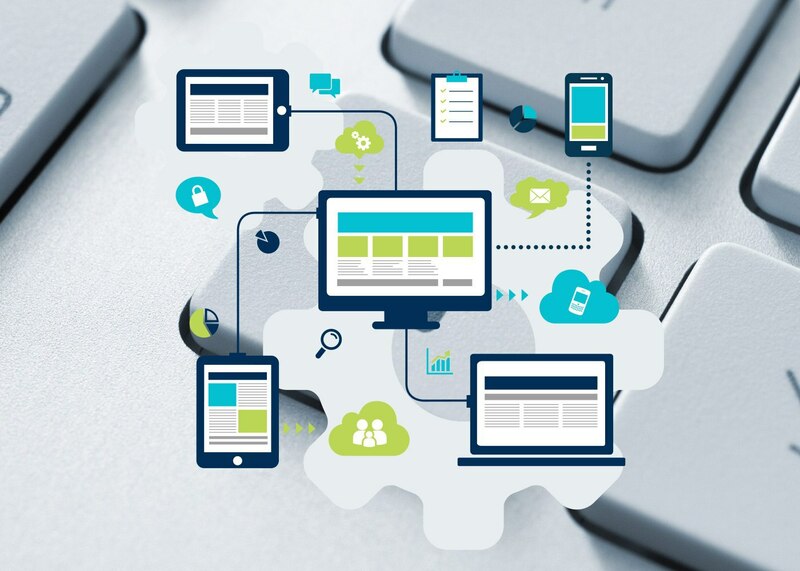 With the internet, in all its glory, playing host to over 1.8 billion websites that can be accessed by virtually anyone in the world, it stands to reason that businesses may not want users accessing some of these websites due to security threats, inappropriateness, or other factors while on their network. 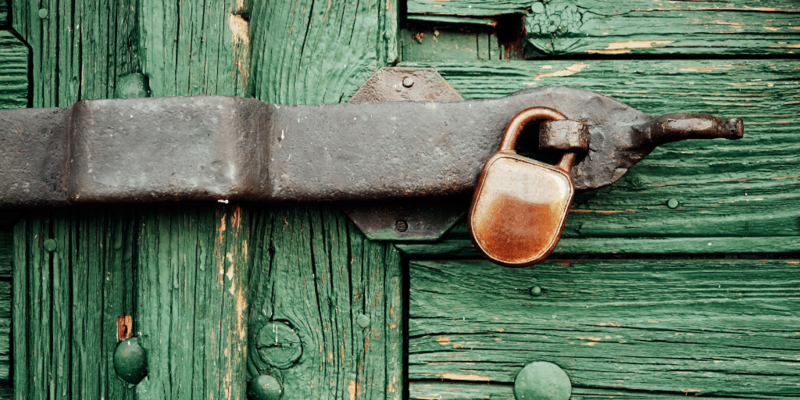 How can businesses control what websites their users gain access to? Typically, most organizations have utilized a blacklist, which identifies websites that users are not allowed to access. This method is not very restrictive and can be problematic in that it allows access to everything, and I do mean EVERYTHING, that is not on the blacklist. A whitelist, as you might guess, is the exact opposite of a blacklist, and only grants access to websites explicitly identified on the list. If the site isn’t on the list, then the user isn’t granted access to it. The concept of a whitelist has been around for many years in website filtering but has seldom been implemented. It can also be problematic because, given the breadth and depth of the internet, only a fraction of the available websites would be allowed. With cybercrime predicted to reach $6 trillion annually by 2021 and to be more profitable—and therefore, more attractive to criminal organizations—than the global combined trade of all major illegal drugs, businesses can no longer rely on traditional network security tools and expect to achieve protection. Charlotte, NC,June 8 2018 –Internetwork Engineering (IE) announced today that CRN®, a brand of The Channel Company, has named IEto its 2018Solution Provider500 list.The Solution Provider 500 is CRN’sannual ranking of the largest technology integrators, solution providers and IT consultants in North America by revenue. 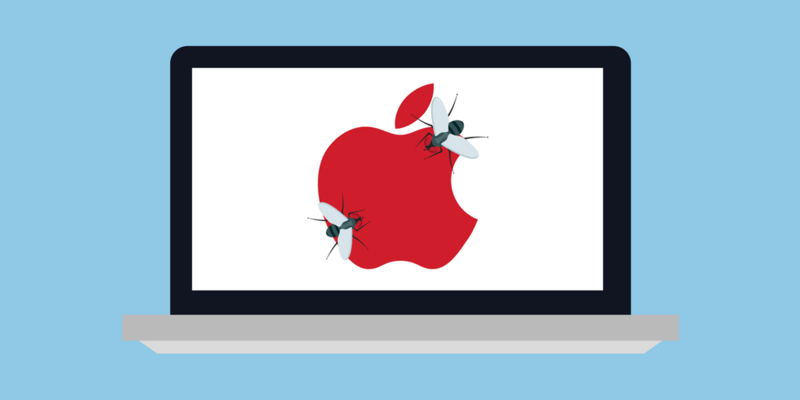 InfraGard recently put out a Flash Alert for a piece of malware called Fruit Fly. I sat through this briefing during last year’s Black Hat/DefCon conference and this malware is unique because it can live in an environment for months, if not years, undetected. There are no ransomware screens alerting the user that they’ve been infected or the ominous blue screen of death. It was first discovered in January of 2017 by Thomas Reed who works for Malwarebytes, who’s also a top Mac OS security researcher and conducted the initial analysis, but since then other variants been identified, dissected, and monitored. Did MyFitnessPal Just Have a MAC Attack? 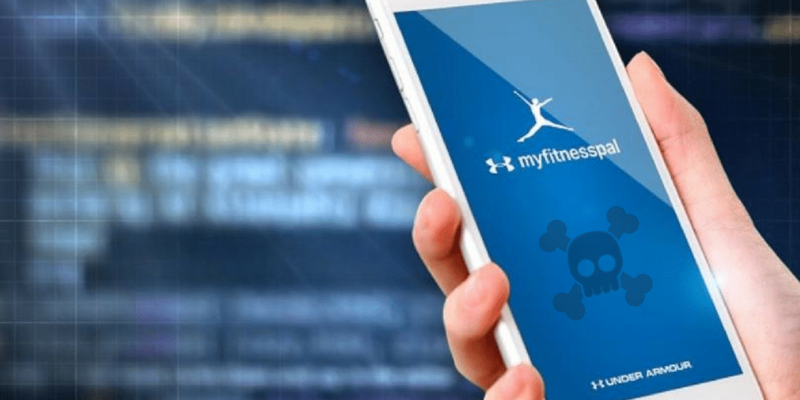 On March 25th, Under Armour was made aware that they had an unauthorized party gain access and acquire data associated with 150 million MyFitnessPal user accounts. The information they could’ve gathered includes, but is not limited to, usernames, email addresses, and hashed passwords. What are hashed passwords? Hashed passwords, from a high level, happen when passwords are ran through a mathematical function to create an encrypted version and a message authentication code (MAC) of a plaintext password. In MyFitnessPal’s case, they used a bcrypt hashing function, the same type that was used by formerly hacked Ashley Madison. After the Ashley Madison hack, the entire database and all password hashes were made available to the hackers of the world and now they have the password hashes of MyFitnessPal too. What does this mean for those of you that have an account on MyFitnessPal? Charlotte, North Carolina, March 26, 2018 – Internetwork Engineering (IE) announced today that CRN®, a brand of The Channel Company, has named IE to its 2018 Tech Elite 250 list. This annual list honors an exclusive group of North American IT solution providers that have earned the highest number of advanced technical certifications from leading technology suppliers, scaled to their company size. Inexpensive Video Solutions That Don’t Sacrifice Quality? They Do Exist. A short time ago, our IE account team met with a customer to show-off the new SparkBoard from Cisco. When challenged by the customer that they were pretty much already set on a competitive solution, I made the comment that they should at least entertain our conversation because the newer video units were now more affordable than ever and amazingly easier to use than their predecessors. 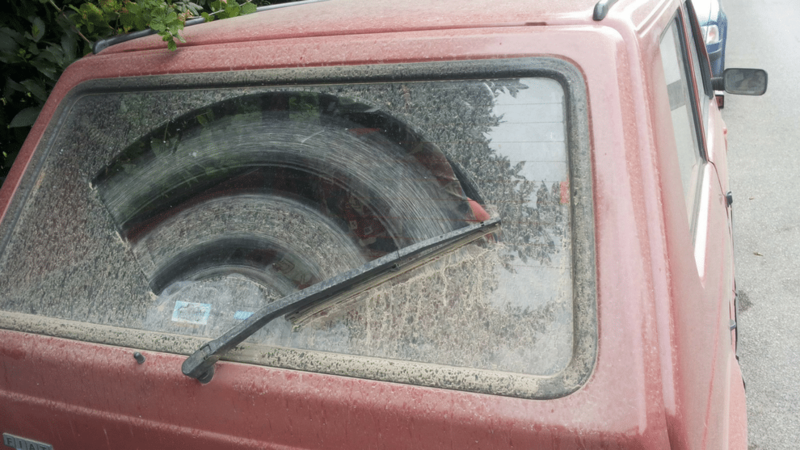 The customer was skeptical and told me, “I’ll be the judge;” so we set out to make our case. Charlotte, North Carolina, March 6, 2018 – Internetwork Engineering (IE), announced today that CRN®, a brand of The Channel Company, has named IE to its 2018 Managed Service Provider (MSP) 500 list in the Elite 150 category. This annual list recognizes North American solution providers with cutting-edge approaches to delivering managed services. Their offerings help companies navigate the complex and ever-changing landscape of IT, improve operational efficiencies, and maximize their return on IT investments. Just after the New Year, on January 8th, Attorney General Josh Stein and Rep. Jason Saine proposed new legislation aiming to strengthen North Carolina’s laws around data breaches. The proposed law has many aspects that would make North Carolina residents very happy, but what affect will it have on North Carolina businesses? It seems there’s a connected device for everything. You can control the temperature of your house, know who’s ringing your doorbell while you’re not at home, order groceries with the help of a smart assistant and your own voice, and the list goes on. Don’t expect this trend to go away anytime soon. 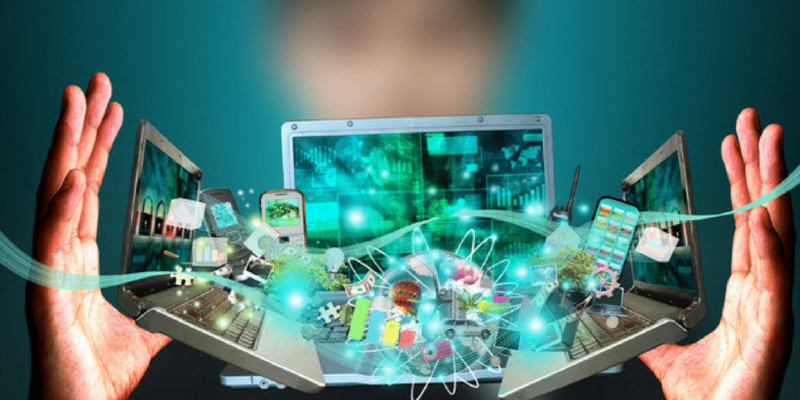 More and more of our daily lives are going to become connected to technology through Internet of Things (IoT) devices. If you thought maintaining your privacy on the internet was already a difficult task, these devices add another layer of needed security to keep your data safe. It’s important to know how your data can be used and what measures you need to take to keep that from happening. 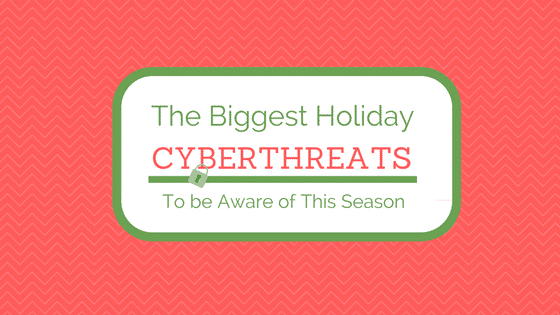 Today, the risk of a security incident or data breach is higher than ever. 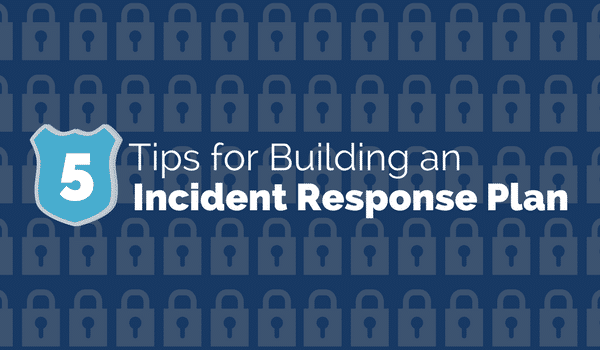 Having an Incident Response Plan is crucial to maintaining a strong security posture so you can protect your business before, during and after an attack. 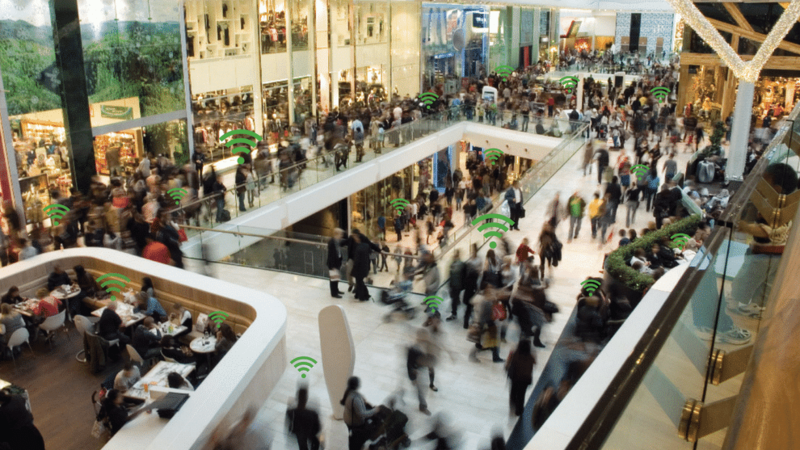 It’s the holiday season and that means more people are traveling and spending time in airports, bus/train stations, and generally wondering if the next stop, coffee shop or store has free Wi-Fi. The habitual curiosity is understandable – why use your cell data when you can hook up to a free connection to the web, right? In fact, there’s always a couple of questions I seem to get on this subject when people find out I’m a security professional. They are: What do you think about public Wi-Fi? 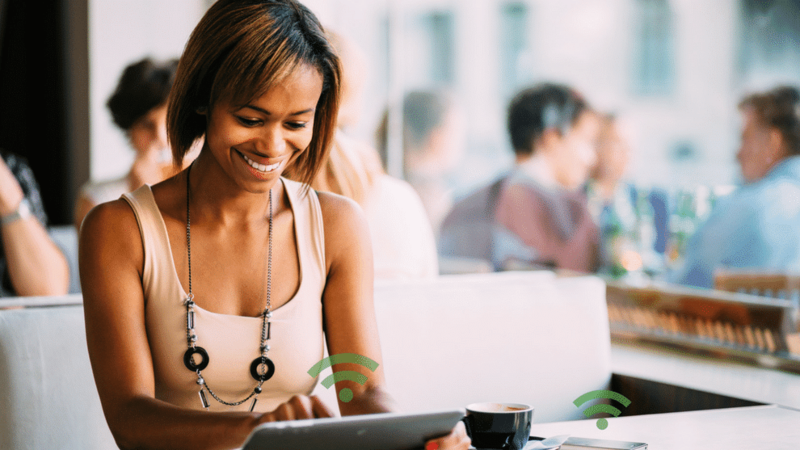 Is free Wi-Fi safe to use? 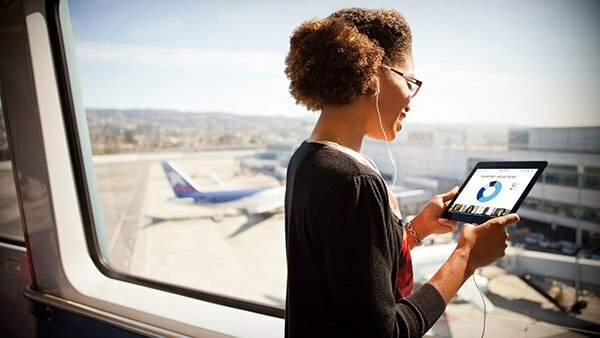 Is it ok to use the Wi-Fi at the airport? 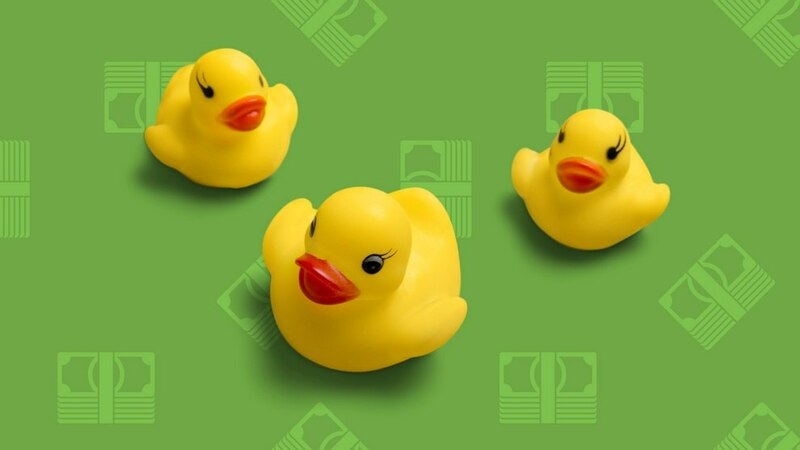 Inside Ransomware: How it's become the most profitable malware type in history. Ransomware has evolved. It now spreads on its own inside a network, from machine to machine, encrypting files and compromising hosts. With an estimated global cost of cyberattacks sitting at $400 billion per year, and ransomware being expected to remain at the forefront of these attacks, it’s important to know how ransomware works, who it targets, and how to protect your business with a multi-layered defense. We all know that the threat landscape isn’t getting any easier to manage. Fact is, most organizations don’t have the resources or the time to carry-out the endless activities that could reduce their exposure. However, there are a few things you can do that will make the most impact. 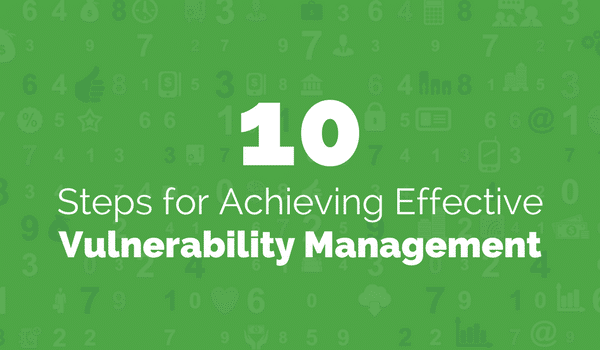 Our partners at Tenable helped us put together these 10 Steps to Effective Vulnerability Management. 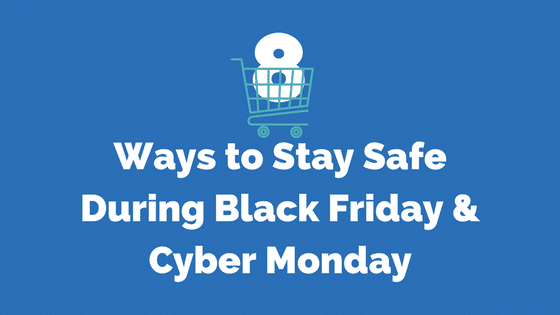 The holiday season means holiday shopping and while everyone will be looking for a bargain, it’s important to make sure you don’t get something you weren’t bargaining for. 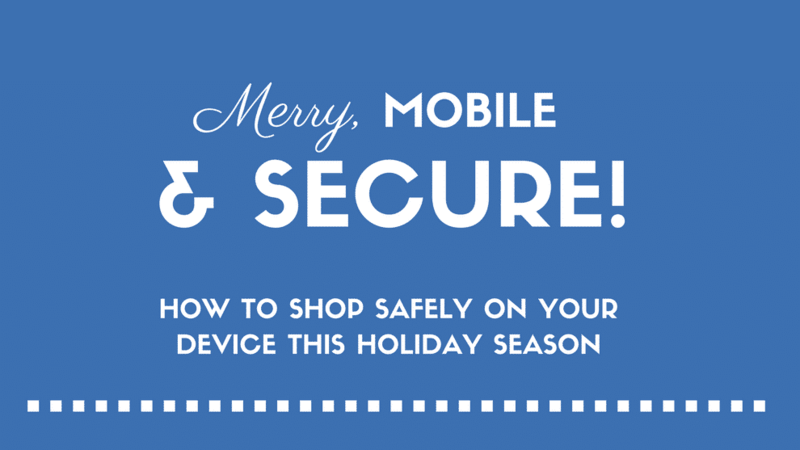 A new study from ADI predicts that this holiday shopping season will be the first to break $100 billion in online sales, with more than half of those sales coming from mobile devices. At IE, our wireless practice engineers often are called on to troubleshoot a network that’s gone awry, for some unknown or unforeseen reason, resulting in a negative impact to the business. The WLAN has been run through multiple support calls and RF surveys to show that good RF signal exists and the RF cell is stable. 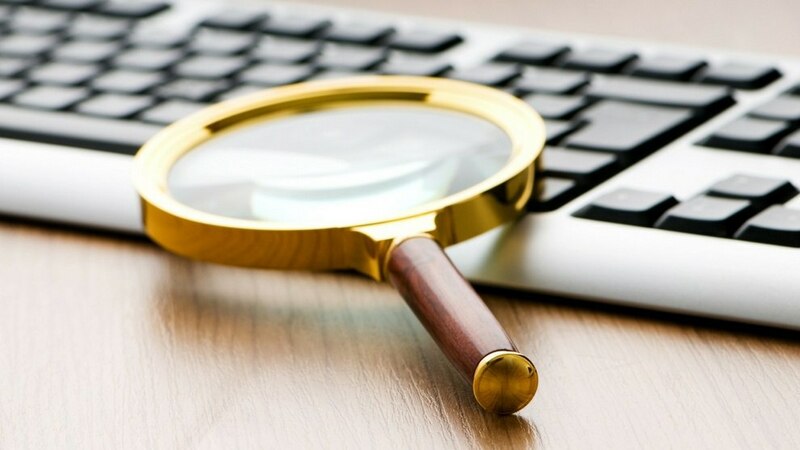 Vendor support centers may have been contacted, but with little to no actual onsite visibility, the vendor online support engineer has no real way to identify the issue. Quite often of late, this has been the result of a change to the network that may’ve been intended to improve the behavior of one client’s device at the cost of older legacy devices on the network. 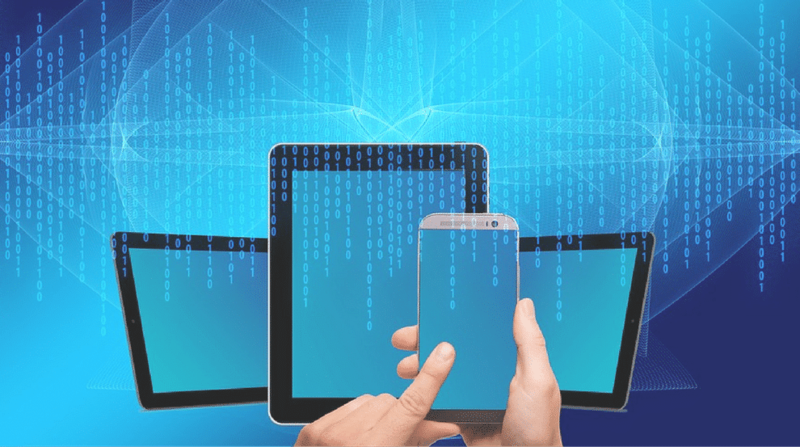 One, or multiples of, new Institute of Electrical and Electronics Engineers (IEEE) standards have been engaged and legacy client devices are suffering. 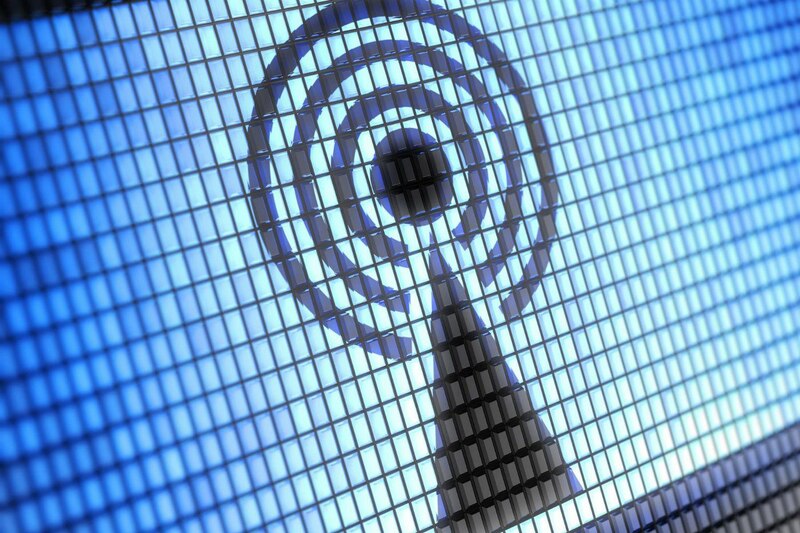 These standards are varietal configurations of 802.11r, k, v, and w. I will briefly describe what each of these IEEE roaming and protection standards is and how they could potentially cause issues with your WLAN client devices. I took some time off one Friday morning and went fishing on Lake Murray. Despite being off, I had a couple meetings that I needed to attend, one of which required me to participate via Cisco WebEx on my laptop. 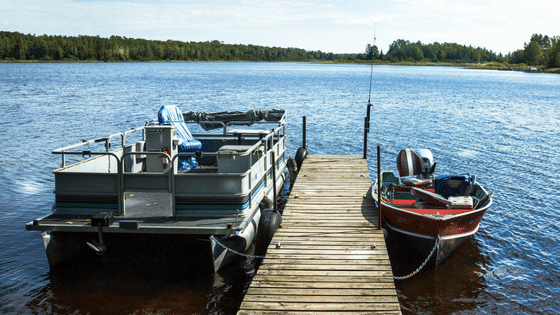 I wasn’t about to let a little bit of water stop me from participating, nor was I about to let one meeting stop me from enjoying a day out on my boat. So, I grabbed my Cradlepoint IBR1100 router with Verizon SIM card and loaded it on the boat along with laptop, tackle box, and fishing rods. We pushed off before 8:00 AM; it was a beautiful peaceful morning on the lake. I plugged the router’s vehicle power adapter into the boat’s 12v power socket and had the wireless network up and running within 3 minutes. I popped open the laptop, looked up fishing reports, checked the weather, and streamed music thru the IBR until my meetings started. 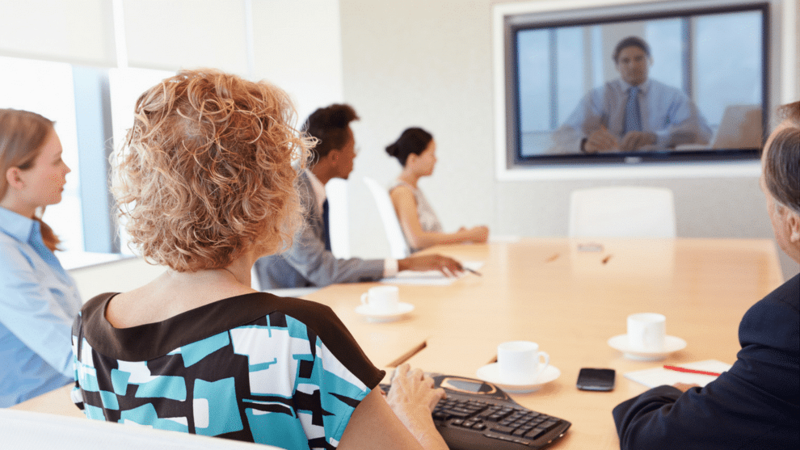 Once it was time for my meeting, I jumped on WebEx, screen-shared, and participated in the meeting as if I was in my office. All the while the kids fished and had a great time. When my meetings ended, I put the laptop away and went back to fishing. A great morning on the lake, productive and fun. 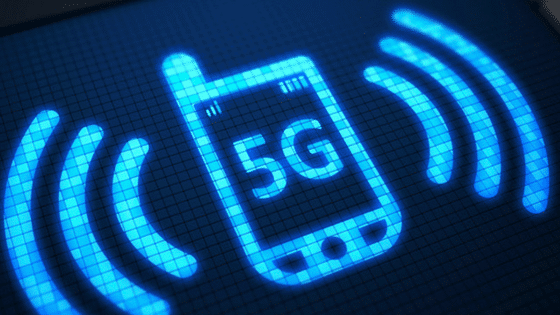 By now, just about everyone has heard of the coming 5G standard for mobile devices like phones and tablets. 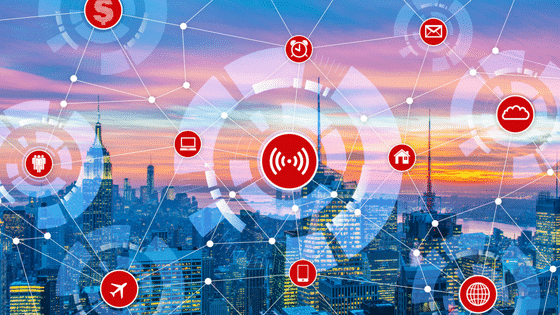 Interoperability and the coexistence of 5G in the enterprise space with existing WiFi technology has been a serious concern for some who fear 5G LTE will mark the end of WiFi as it encroaches on unlicensed spectrum. I don’t see it that way. For over a decade I’ve believed that the true mobility sweet spot will be realized when we have complete interoperability between cellular-based devices and WiFi. Allowing enterprises to offer 5G throughout their network on licensed spaces, owned and operated by the carriers, allows them to easily transition latency and security sensitive applications on and off of their networks. 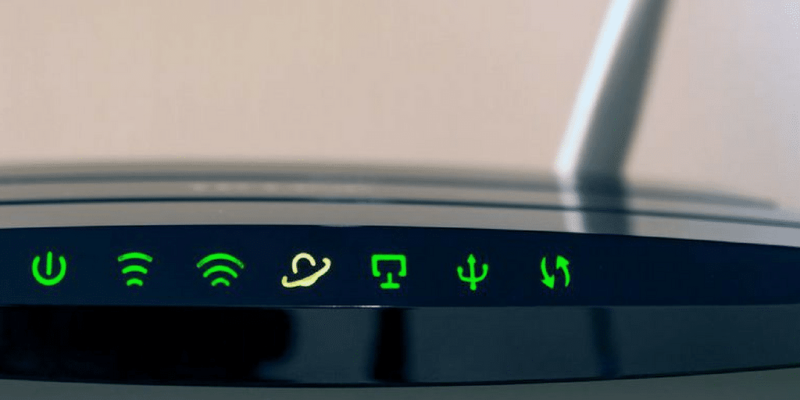 The interoperability of 5G and WiFi is not only convenient but necessary to provide adequate data backhaul for the increasing bandwidth demands of data-hungry end-users. We received quite a few interesting looks at last year’s OctoberTekfest, when we unveiled the KegBot and Hack for Beer challenge. A couple of hours into the challenge, we developed a crowd of folks gathered around the booth. Some people came to watch and cheer on their friends, while others took notes with hopes of decreasing the amount of time it took to “Pwn Beer.” The most interesting thing that happened, at least from my perspective, was that all of the folks that came to the booth experienced all of the excitement and frustration associated with executing a hack to a networked system. 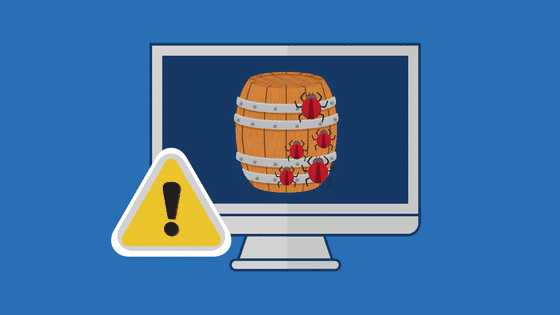 Many folks took note that some of the methods used to hack the KegBot, leveraged vulnerabilities and configuration issues that could have been easily mitigated. Several conversations started that examined the ideas of: What if the firewall placement changed? or What if the admin’s workstation had been patched, or not left on or unlocked? This is the true value in the whole demonstration. The process forces us to think about the issues that allowed the hack to happen in the first place. The beauty of the demonstration is that it was conducted in a controlled environment, no real data was ever at risk, and we all learned a lot. Welcome to KegBot, Part 2! 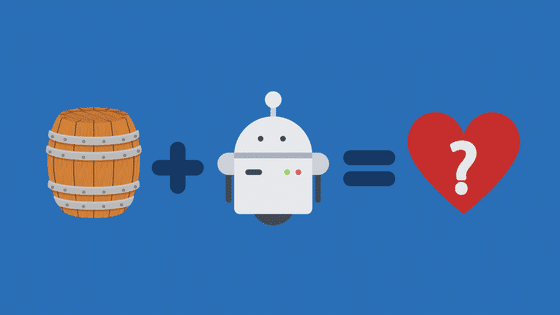 If you read my last blog, you know that we’ve set out to build the most awesome IoT device ever; an automated beer dispenser we call the KegBot! If you didn’t get a chance to read it, you can get up to speed on the first several hurdles we tackeled here. The face of something very familiar is changing. Within a few years you may not recognize the “face” of your data center because many of the technologies you’ve relied on for the last 5-10 years are being disrupted. OktoberTekfest KegBot: IoT Integration on Tap! For the last 5 years, IE’s invited customers to sample the latest technologies and some of the best local beer and food as part of our OktoberTekfest event. It’s a great opportunity to see the latest products and solutions offered by IE and our partners, to meet the IE staff and have some fun. As part of the planning team for IE, it falls on me to determine what Collaboration technology we’re going to present to give our customers a glimpse of the future and prepare their organizations for what’s to come. This is no easy task. There are so many technologies with so much potential. This year we thought we’d take a slightly different approach with one demo. We wanted to not only showcase our partner’s tech but also what creative things our technical team can do with them. We thought about what technology could we show at a German Oktoberfest-inspired event. An event with a fully functional beer garden, lots of beer flowing, and the smell of brats, pretzels and other great food. Wouldn’t it be cool if we could combine two of our favorite things, technology AND beer? And then it hit us, we’ll build a KegBot! 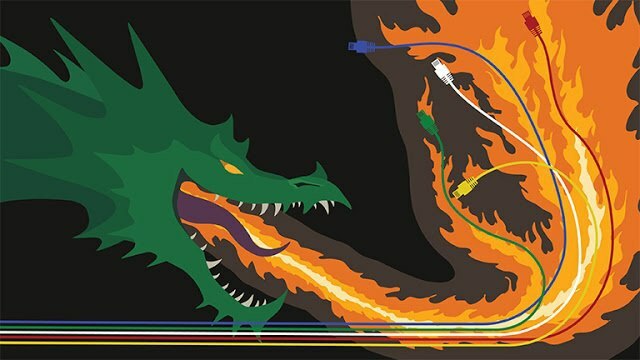 For years, we’ve heard about Software Defined Networking (SDN), and while the hype has been tremendous, we in the engineering community have joked that SDN stands for “Still Does Nothing”. Now that that SDN has been overhyped, marketers have moved on to terms like SD-Access (or SD-WAN) and Digitization. So, when Cisco recently announced their Digital Network Architecture, or DNA, the engineering community reacted with a collective yawn. Just another marketing term, right? Is this just an attempt to erase stale connotations of the first-generation SDN? Not exactly, as it turns out. 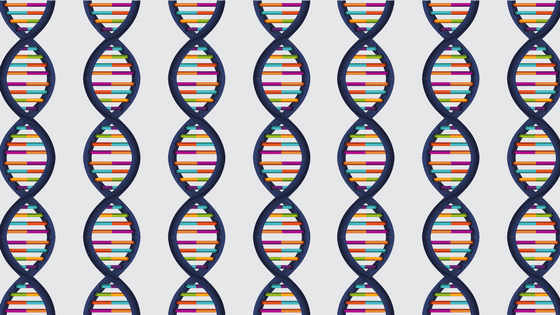 Where SDN was the automation of network management, Cisco DNA is the automation of the network itself, or “digital networking”. 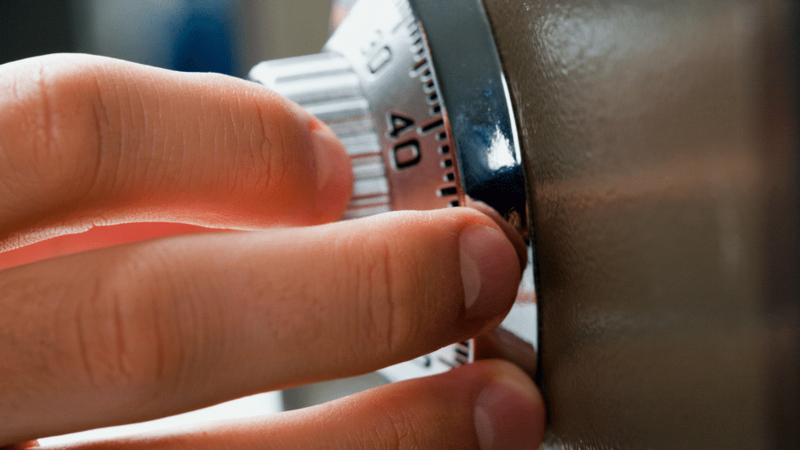 Is Your Security Solution Compounding Your Risk? One of the most important goals of IT Security, perhaps the most important goal, is to reduce risk. Generally, when we think of IT Security and Cyber Risk, we think of hackers and/or a breach, however, a security breach is just one risk element. Cyber risk includes the risk of financial loss, disruption to business, or damage to the reputation of an organization due to some sort of failure of its information technology systems. It can also come from many different sources, such as environmental factors, under-staffing, under-funding, lack of processes and procedures, misaligned processes and policies, equipment failure, and breaches. 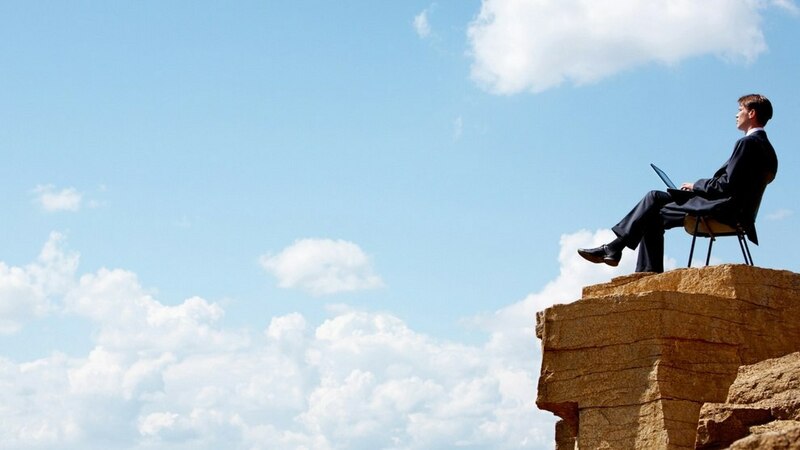 Being able to fully understand what risk is present and determine the best way to mitigate that risk is a significant challenge to any organization. This often leads to a security solution compounding your risk, rather than mitigating it. 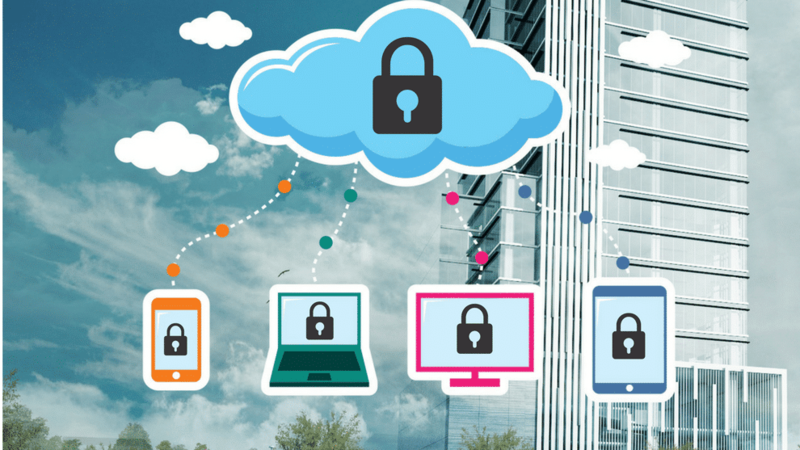 Here are two common ways we’ve seen security solutions increase an organization’s risk. Just as the frenzy around Wannacry started to fade, another global ransomware attack was ready to stand in its place. Welcome, Nyetya. Our partners at Tenable Security put together a great blog post, “Money, Hackers and Spies: Quick Bytes from Verizon’s 2017 DBIR Report,” that shared some highlights and stats from the 2017 Verizon DBIR report, so we created this handy infographic for quick reference. Charlotte, North Carolina, June 7, 2017 – Internetwork Engineering (IE),a strategic solution provider with offices in North Carolina, South Carolina, Tennessee and N. Florida, announced today that CRN®, a brand of The Channel Company, has named IE to its 2017 Solution Provider 500 list. The Solution Provider 500 is CRN’s annual ranking of the largest technology integrators, solution providers and IT consultants in North America by revenue. Working with clients on a daily basis, I’m often asked my opinion of “The Cloud”. Having been a consultant in the technology industry for 23 years I’ve seen a lot, from Mainframe to today’s Hybrid Cloud Management platforms. When I first started, I was fixing Apple Macintosh computers and their 40 MB hard drives and HP LaserJet III (PC Load Letter anyone?) printers. I personally was the proud owner of a 486/50 PC and the first Pentium 60 MHz were just starting to hit the market. I believe that when they hit the market they literally “hit” something like a tree because that first month I replaced a lot of them. Most local area networks were comprised of Ethernet hubs and heaven help us “ARCnet.” Computing infrastructure was still very heavy with Mainframes and AS/400’s and as a result highly centralized. If you wanted to manage your systems, you pretty much had to physically be in your data center on a terminal or computer with a terminal emulator. 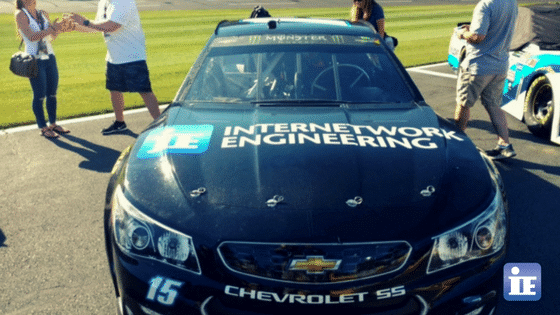 IE was proud to be a sponsor for Reed Sorenson’s #15 car at this past Saturday’s NASCAR Monster Energy All-Star racing competition at Charlotte Motor Speedway. 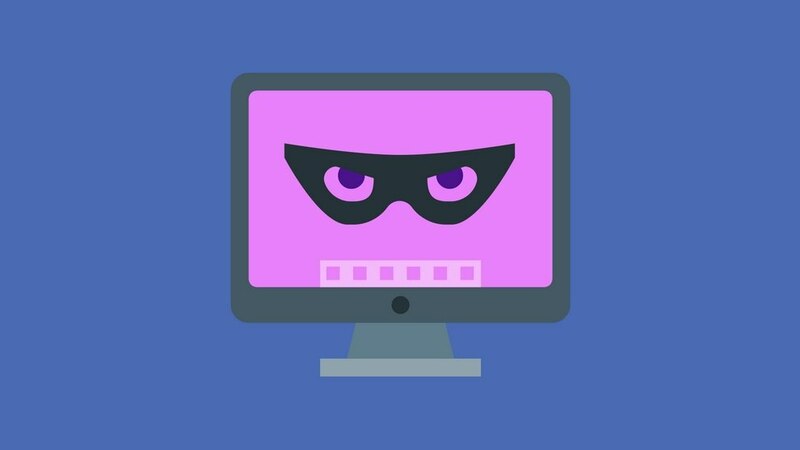 The Internetwork Engineering (IE) Security Team, along with IE security partners, has been tracking and researching the massive ransomware outbreak now known as WannaCryptor 2.0, or WannaCry, since its discovery on May 12, 2017 by an independent security researcher. According to Multiple Open Source Intel (OSINT) reports, the ransomware campaign has affected tens of thousands of systems in as many as 99 countries, including: the United States, United Kingdom, Spain, Russia, Taiwan, France, and Japan, as it can run in as many as 27 different languages. Here's what you need to know about WannaCry ransomware and what you can do about it. Some of the best years of my career were spent working for a non-profit student loan organization: a great company with great people. The problem with this type of company is that there is generally only one per state. Even though we didn’t compete, communication between companies was limited and there was no visibility into the industry from an IT perspective. How were the other forty-nine student loan organizations organized? What were their priorities? What was working and what wasn’t? How were they adapting to new laws and regulations? I was isolated and on my own. You may feel that isolation from time to time, but remember you’re not as alone as you think. 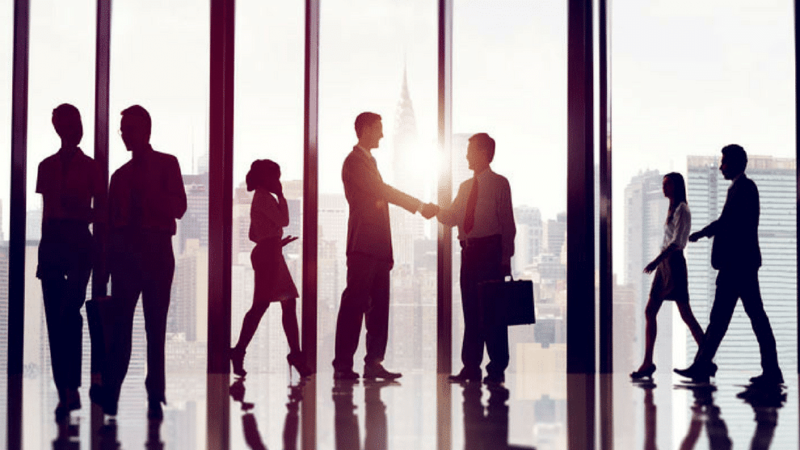 A good partner – one that’s well versed in your industry – can provide you with much of the direction you seek without violating anyone’s NDAs. Being in the trenches day in and day out, you come to know your business better than some people know their own children. That rarely leaves time to follow industry trends, research emerging technologies and contemplate how they fulfill your mission. 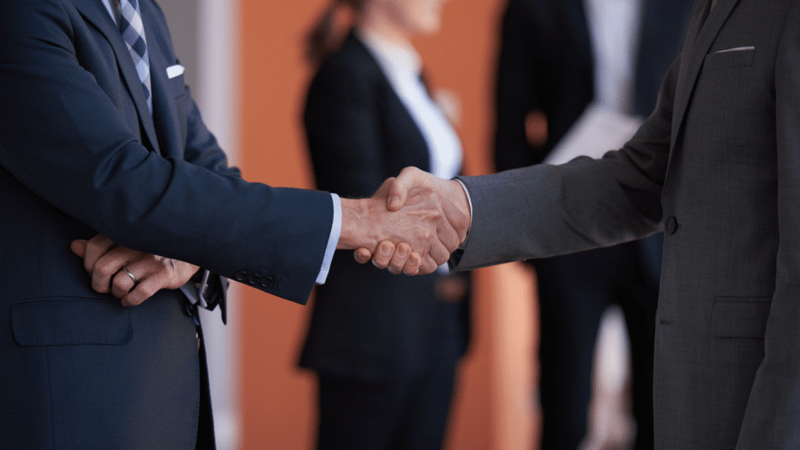 In my last post, I took the time to outline why working with a partner beats buying from a vendor, and now I’d like to share the top three ways partners understand your industry better than a vendor. 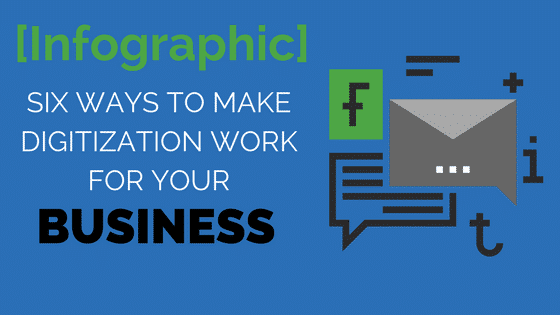 Last week on the IE blog we posted Sean Rollman's "Six Ways to Make Digitization Work for Your Business". If you missed it, we've created a handy infographic version for easy reading! Like an Access Point providing Wi-Fi! Digital. Digitization. Digitalization. These are words we hear thrown around a lot in technology circles today. 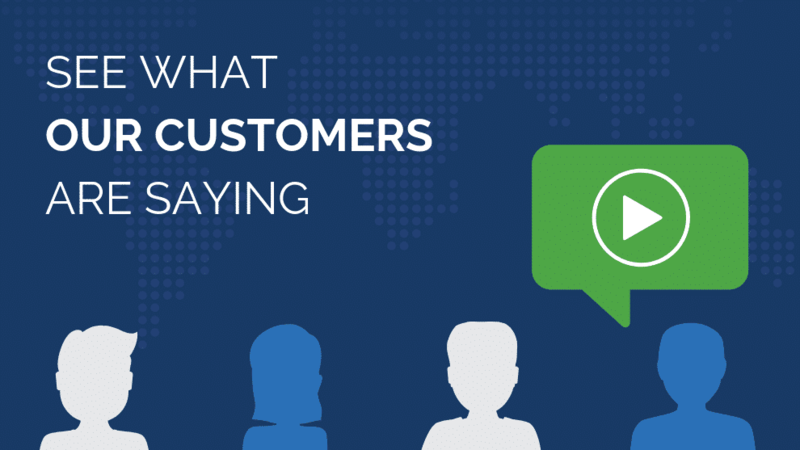 In my last blog post we talked about how Domino’s Pizza was one example of businesses leveraging technology to create value, but what does that mean for you and your customers? How can you create and implement a digital strategy that not only produces competitive advantage, but improves the customer experience? 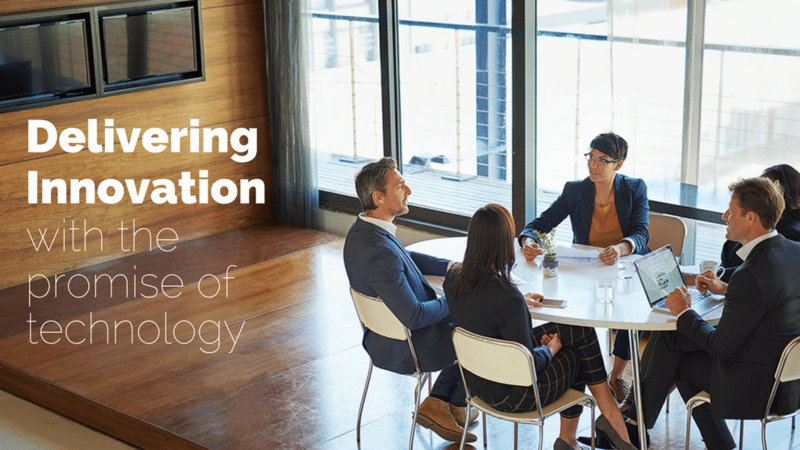 We’ve taken the time to develop six ways to make digitization work for your business. CRN's 2017 Tech Elite 250 list recognizes IT solution providers with deep technical expertise and premier certifications. Internetwork Engineering is proud to announce that it has officially been named the XMedius 2016 United States Unified Communcations partner of the year. The awards are announced annually, and are given to valued partners that display a thorough expertise in XMediusFAX solutions and have exceptional sales growth. As technology continues to evolve and digital transformation enters full swing, competition for customers is growing increasingly fierce. An essential question for businesses has become, “How can technology improve customer experience and create additional value for my shareholders?” A great question, and to answer it let’s take a look at what one well-known company did to leapfrog their competition and launch themselves into the digital age. 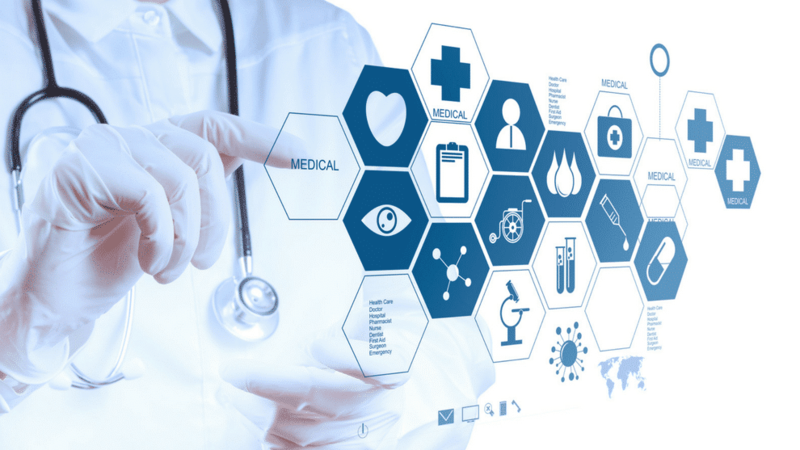 In Part I of our blog series on Disaster Recovery, we discussed why DR is no longer enough in the healthcare industry. Today we’d like to focus on clearing up a common misconception that disaster recovery and business continuity are essentially the same thing. 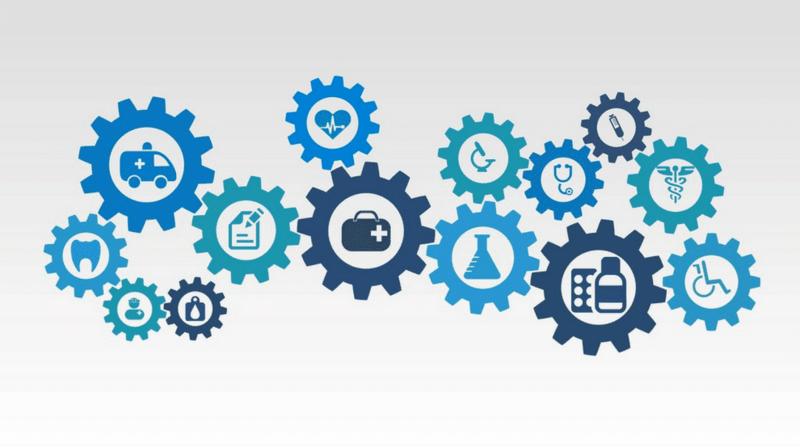 While disaster recovery is essential, it’s only a small piece of the larger puzzle required to plan for the continuation of healthcare operations. Charlotte, North Carolina, February 22, 2017 – Internetwork Engineering announced today that CRN®, a brand of The Channel Company, has named IE to its 2017 Managed Service Provider (MSP) 500 list in the Elite 150 category. This annual list recognizes North American solution providers with cutting-edge approaches to delivering managed services. Their offerings help companies navigate the complex and ever-changing landscape of IT, improve operational efficiencies, and maximize their return on IT investments. 2017 marks my twentieth year in the IT field and fifth working in the reseller space. I feel like I’ve seen it all, but one thing that seems constant regardless of the organization is the struggle to reconcile the relationship between vendors and the business. I think I’ve heard every theory and strategy out there. Some want a different vendor for each architecture: the different eggs in different baskets theory. Some take every purchase as a challenge to get an ever-cheaper price: the pit them against each other theory. While others go with my personal favorite, “I like to spread it around:” the I want everyone to like me and get an equal cut of my budget theory. In the spring of 2016, a monkey caused a nationwide power outage in Kenya, leaving the entire country without power for 15 minutes. While we don’t have many monkeys in the US, the list of potential disasters that can affect your business is nearly endless (power outages, natural disasters, broken water pipes and of course human error). 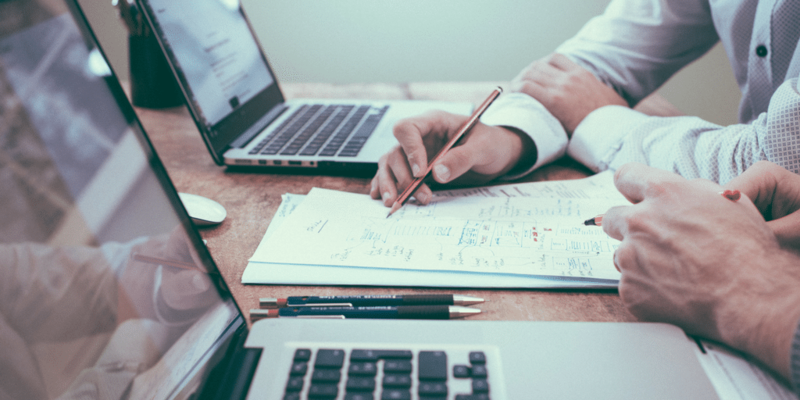 Now that healthcare records are electronic, it’s important that the industry look beyond disaster recovery and build a full business continuity plan to remain fully operational in the event of a disaster. We are quickly entering a time in which the laws and regulations are outpaced by the exponential growth of technology. 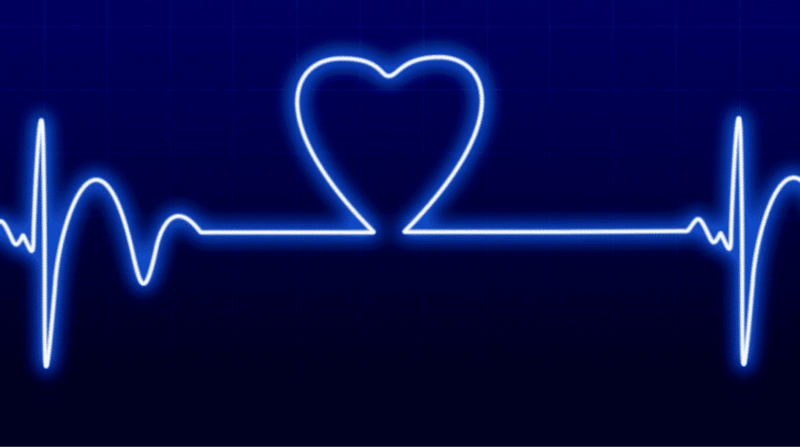 Who will be held accountable when an IMD (Implantable Medical Device) -- such as an ICD (Implantable Cardioverter Defibrillators) -- with Wi-Fi connectivity receives an erroneous data transmission from a spoofed doctor’s account changing the patient's normal heart rhythm for an abnormal one? 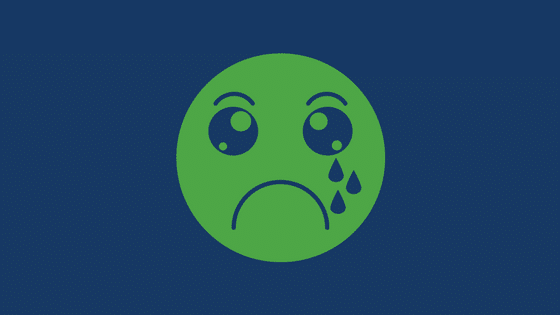 Why is Contact Center a Bad Word? 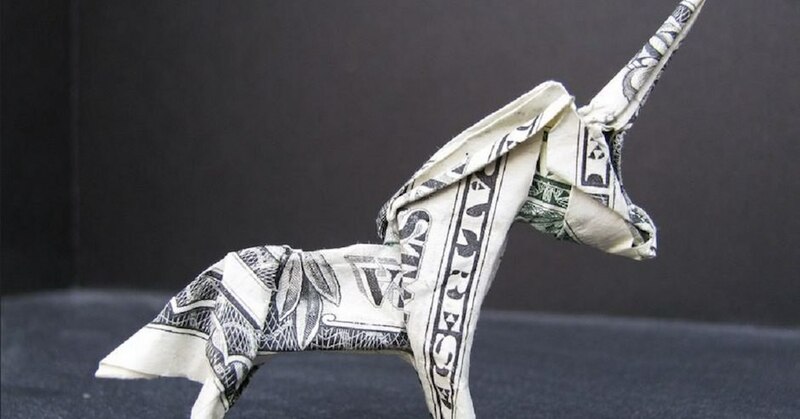 As we enter the new year, experts predict cybersecurity spending to surpass $1 trillion from 2017 through 2021, as companies struggle to keep up with a global spike in cybercrime. 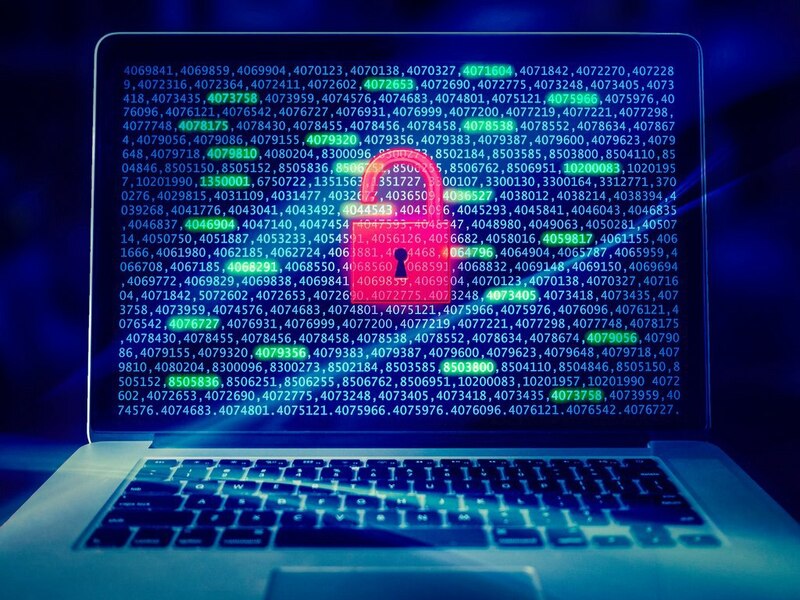 With this trend expected to continue for the foreseeable future, it’s no surprise that businesses everywhere are shifting their budgets to accommodate for the growing cost of cybersecurity. 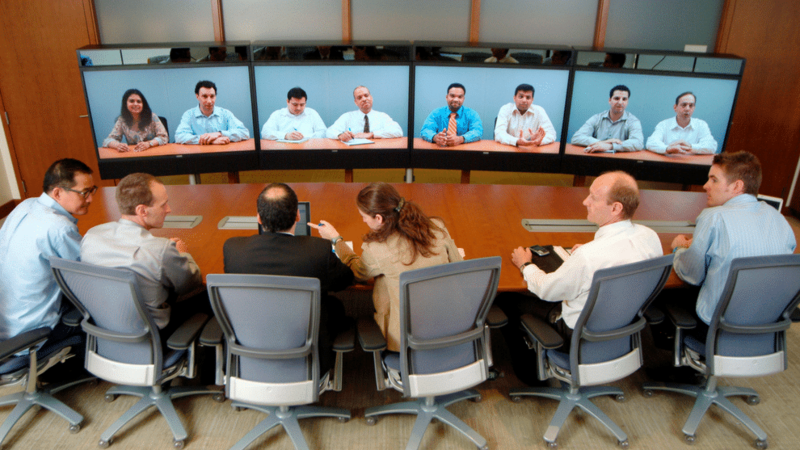 According to Cisco’s Visual Networking Index, there will be 3.4 networked devices per capita by 2020. This represents 26.3 billion networked devices and nearly a 40% increase in just five years. 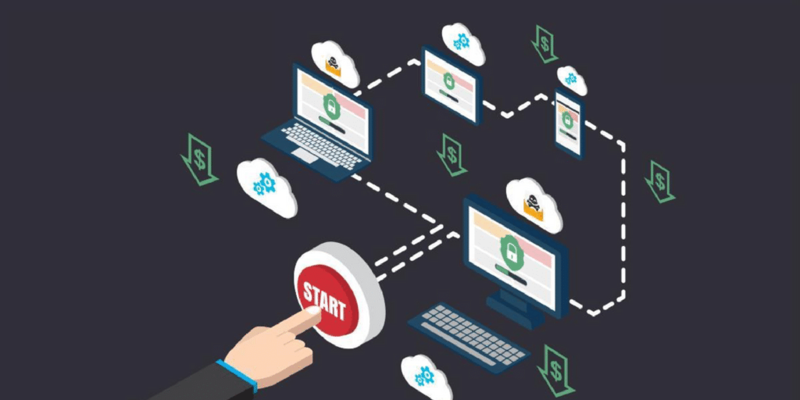 To handle this flood of new devices, many companies today are utilizing the cloud to connect devices to the corporate network. 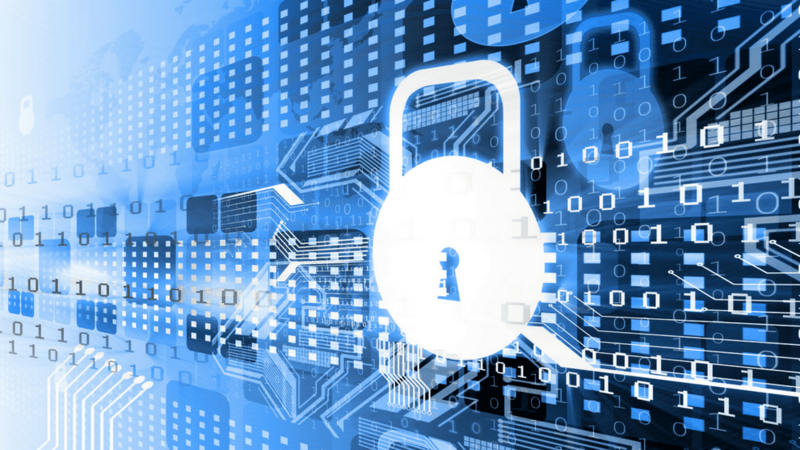 Is it any surprise that cybersecurity has become one of the top priorities for businesses? The holiday season is here once again, but just like everything else in today’s digital-first world, technology is changing the way things are done. While there are still those that do their shopping at physical stores and send holiday cards via the US Postal Service, an increasing number of people are now using a more convenient, digital approach. The speed of innovation in today’s corporate environment is accelerating exponentially. The time required to move from ideas to execution has decreased dramatically. What used to take decades or centuries now only takes years or months. 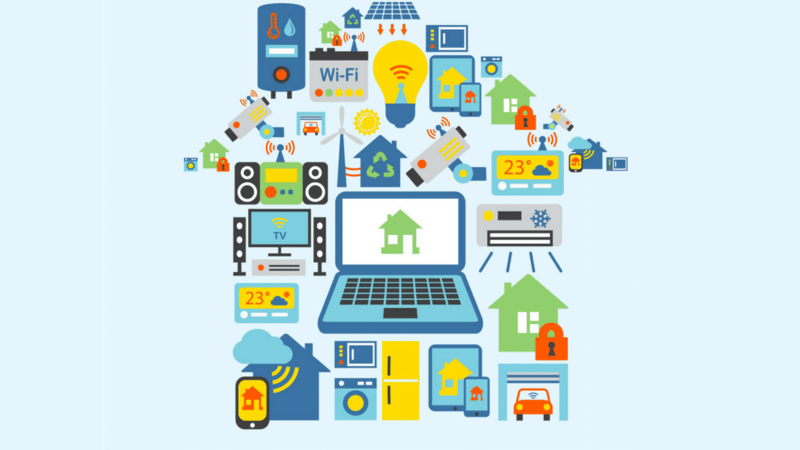 The Internet of Things and Why You Should Be Afraid…Very Afraid. In late October of 2016, a domain name service (DNS), host and Internet management company for 80+ major websites experienced several bouts of distributed denial of service (DDoS) attacks by botnets (short for “robot network”). The end devices were being controlled by a Control Server (CNC Server) not unlike the Droid Control Ships controlling the Droid Armies in Star Wars. The FBI has stated that they do not have any confirmation of a specific group or groups claiming responsibility in the hacker community, but they believe the machines were infected with a variation of the Mirai malware. In today’s busy marketplace, it’s no surprise that businesses everywhere are looking to gain a competitive advantage. As the competition continues to increase, many businesses have found a way to do just that by gathering information on consumer consumption and utilization patterns. Recently I went to a popular home improvement store with the intention of purchasing a yard hydrant to provide water to various locations around my property. As I was searching the aisles looking for a product that fit my needs, I began to do what most customers with smartphones do when in traditional brick and mortar retail establishments; I went online and began to search for product ratings. 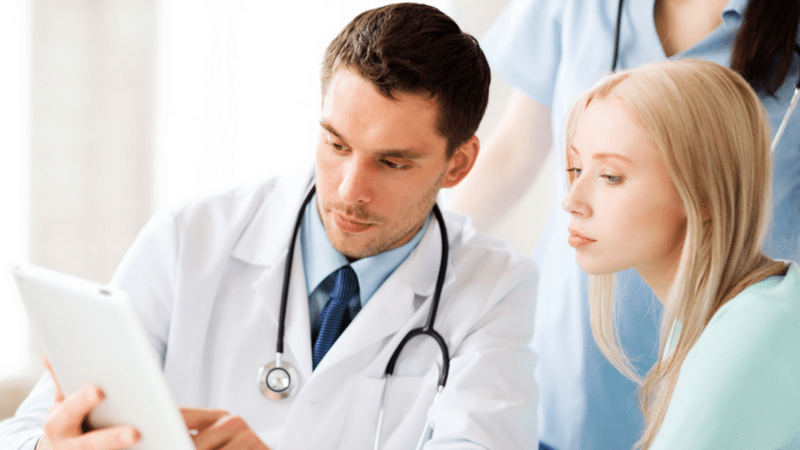 Patient engagement is a hot topic for both healthcare professionals and patients. Why, you ask? Because the ultimate goal of healthcare professionals is empowered patients, and improving health outcomes with increased patient engagement is a great way to do just that. IE demonstrates best-in-class capability and market leadership through demonstrated technology success and client commitment. 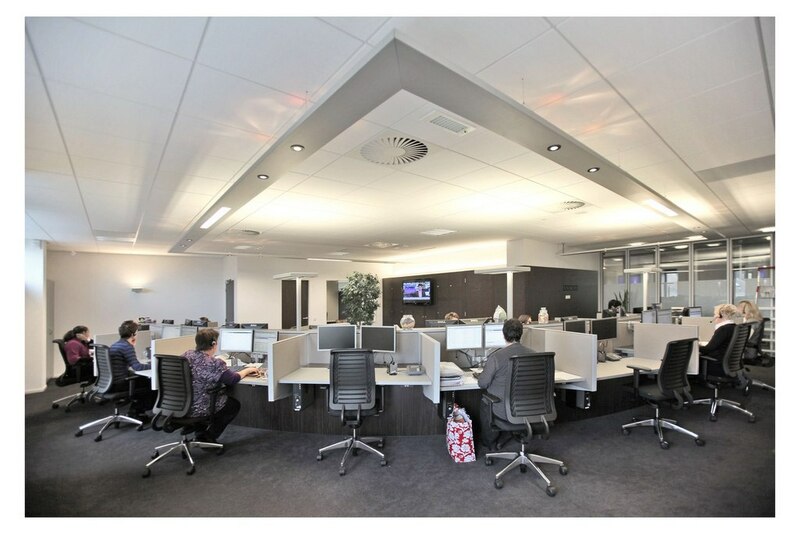 Digital transformation is changing the look of the traditional office space as we know it. The days of tan-colored cubicles and age-old desktop computers are long gone, replaced by a widely-distributed mobile workforce who is no longer bound to a single location for work. 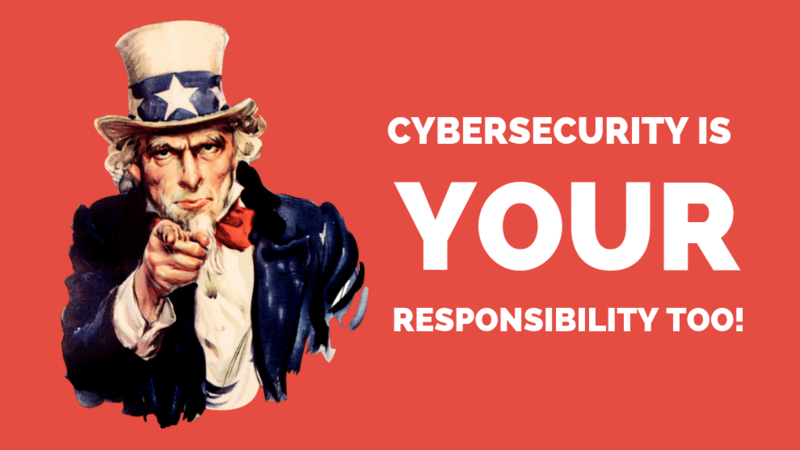 It's National Cybersecurity Awareness Month! It’s the last day of October, and you all know what that means… it’s Halloween! 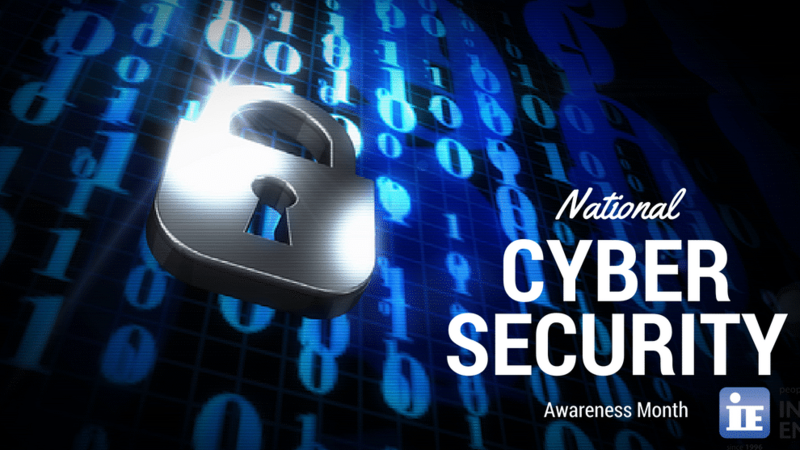 And in addition to Halloween, it’s also the conclusion of National Cybersecurity Awareness Month. Coincidence? We think not, because losing your data is one of the scariest things that can happen after all, right? Cybersecurity professionals need to be fairly agile to maintain the juggling act between preventing a breach, staying compliant and keeping cost manageable. Many organizations are challenged to focus on security or raise the maturity level of the existing security program as the frequency of attacks increase. In today’s business world, we hear the terms communication and collaboration a lot. We often hear them mentioned together, and sometimes even interchangeably. But do they really mean the same thing? An ancient Chinese proverb states, “May you live in interesting times.” Some believe this to be a blessing, while others believe this is a curse. But regardless of your interpretation, we can all agree that we do indeed live in interesting times. 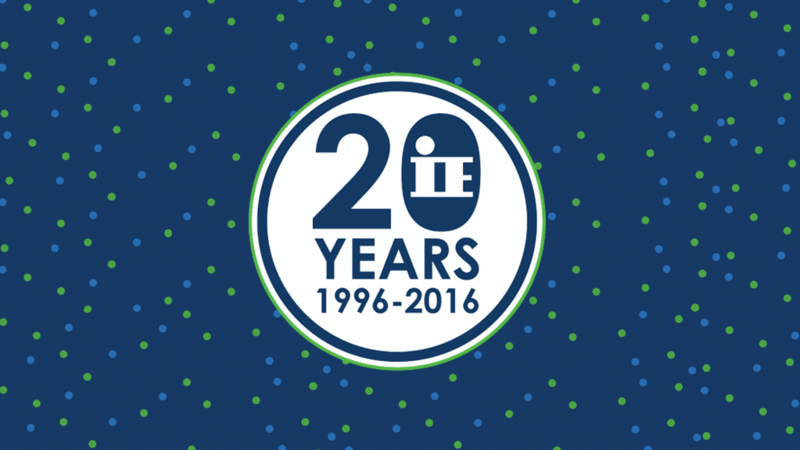 Twenty years is a long time to be in business, especially in an industry that's seen such rapid change. Think back to 20 years ago, in 1996. How old were you? 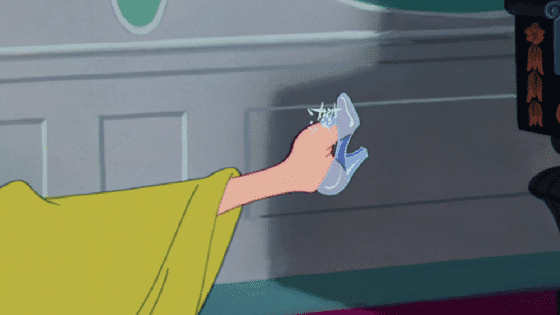 What were you doing and wearing? Your favorite movies, artists, etc. Now think about today. How have things changed? We recently asked all of our staff to submit pictures of themselves from 1996 and let’s just say the transformations are nothing short of dramatic, some entertaining. 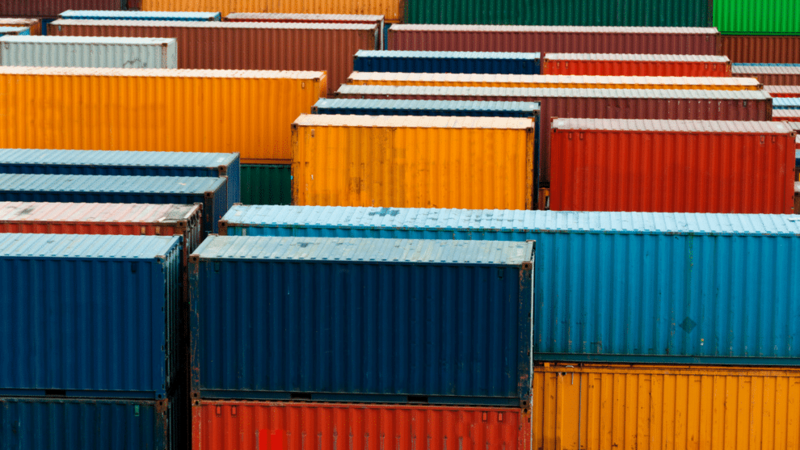 What do you think of when you hear the word “containers”? Do you think of big cargo ships full of containers crossing the ocean, moving goods to and from ports around the world? Each one of those containers are carrying goods of some sort. They may be carrying the newest 4K TV or other new technology, or they could just be carrying boxes full of clothes. No matter what they're carrying they are pulled off the ship one by one and placed on a trailer chassis, latched in, and moved to a holding spot or to their final destination. Practice makes perfect. There’s no greater example of this than the Olympics, where athletes like Simone Biles spent countless hours practicing to execute their craft perfectly. But even Simone Biles, who is arguably the greatest gymnast, didn’t receive a single perfect score and faltered on the balance beam. That’s because the phrase, no matter how motivating, is misleading. In today’s increasingly competitive business landscape, an organization’s ability to quickly and efficiently meet and exceed customer expectations is essential. And yet few businesses today have the ability to gather useful business intelligence about customer behaviors and consumption patterns. 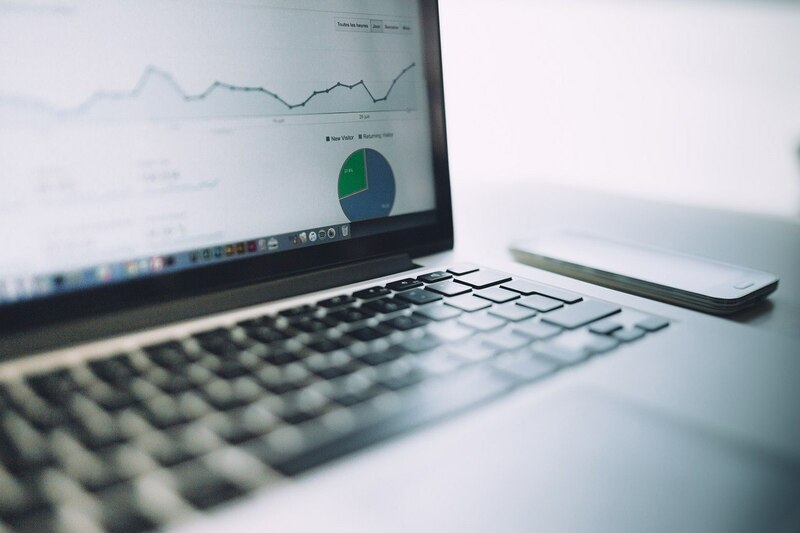 Whether the business is a retail store, automobile dealership, or healthcare provider network, enabled business intelligence allows organizations to gather and analyze relevant data so they can engage with clients with the right information at the right time – a key to survival in the digital age. Internetwork Engineering -- a Charlotte-based strategic solution provider -- is excited to announce the expansion of its Southeast market after opening a new office in Jacksonville, FL. The company will offer mid-market and enterprise clients services in four validated architectures, including Collaboration, Data Center, Intelligent Networks, and Security. In today’s age of digital business, protecting your data in the event of a disaster is critical for business continuity. 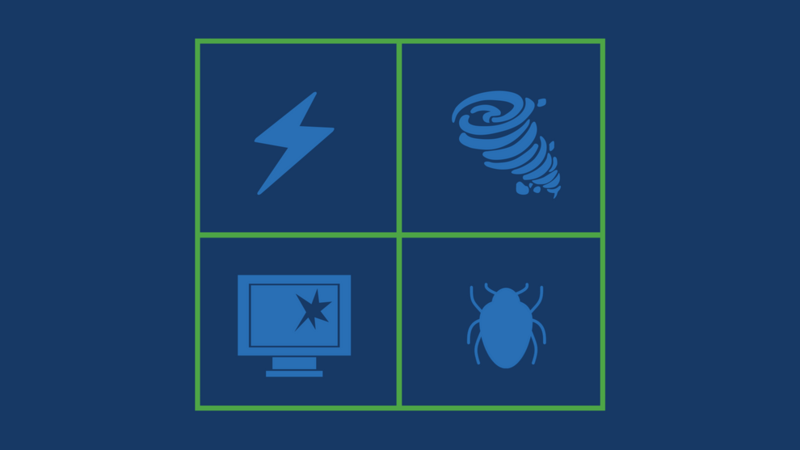 And with the combination of natural threats, malware, software/hardware malfunctions, and the biggest culprit of all, human error, a disaster is often inevitable. Classroom technology prepares students for the future by building lifelong skills. The adoption of devices and increased use of technology in classrooms is about more than just fancy technology. It’s about engaging students in a way that increases their learning and ultimately sets them up for success. By using technology to enhance the learning experience, students are being equipped with future-ready skills they can apply in the workforce. We are very excited to announce the launch of our newly redesigned website! After months of work, and maybe some sweat and tears, you can now visit us at the new www.ineteng.com. Internetwork Engineering (IE) announced today that it has been named to The Channel Company’s 2016 CRN Solution Provider 500 list. The SP500 list is CRN’s annual ranking of the largest technology integrators, solution providers and IT consultants in North America by revenue. We’ve all been there. That moment we’re told a storm is brewing and possibly headed our way. In technology, cyberattacks are the storm, but it’s no longer a matter of if one will affect you, but when. As cyberattacks continue to become a daily norm, leadership must understand what threats they face and keep cybersecurity top of mind for the entire organization. Internetwork Engineering (IE) announced today that CRN®, a brand of The Channel Company, has named IE to its 2016 Tech Elite 250 list. This annual list honors an exclusive group of North American IT solution providers that have earned the highest number of advanced technical certifications from leading technology vendors. To be resilient, you need more than one. Please Note: This is the final article in a series. To start from the beginning, please click here. 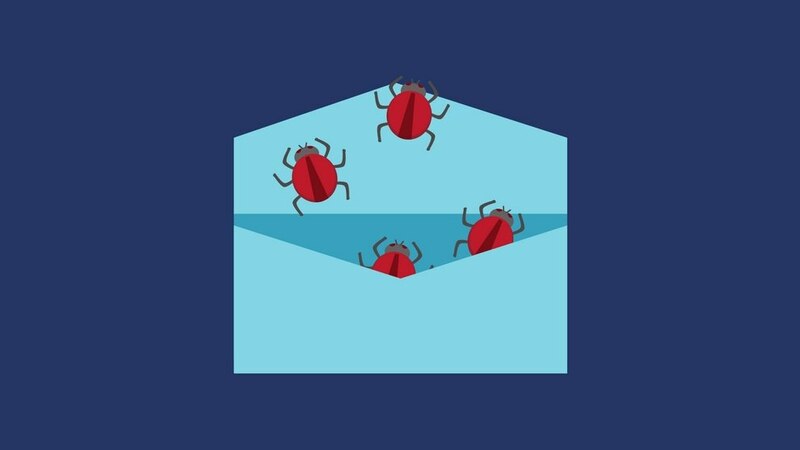 You bought the best in security prevention and detection software your organization can afford and you’ve educated the entire workforce on best practices to recognize malicious emails and web links. You feel your company’s sensitive information is safe from the Big Bads of the cyber underworld. (High five!) But, you've begun to wonder what you would do if your network shows indication of an attack or, more critically, a breach. Who will make the determination that you’ve been compromised? Who needs to be notified and in what order? 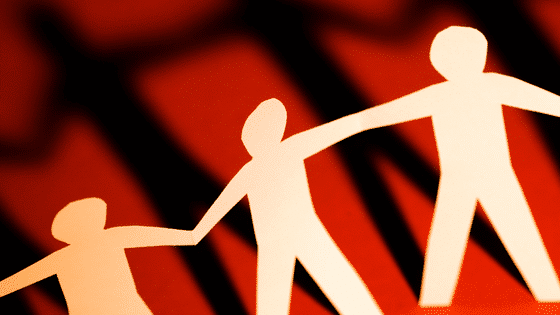 Who executes what role during the response? How will the business continue to operate? Do you have a plan in place or are you counting on your team, including your executives, to instinctively know what to do? Please Note: This is the fifth article in a series. To start from the beginning, please click here. When you think of hacking tools, you probably think of complicated systems of expensive hardware and software. However, with the development and increased popularity of open source hardware and software, many hackers are learning to put together inexpensive tools for their dirty deeds. Before we can explore the tools they use, we need to examine why they are using open sourced software and hardware in the first place. 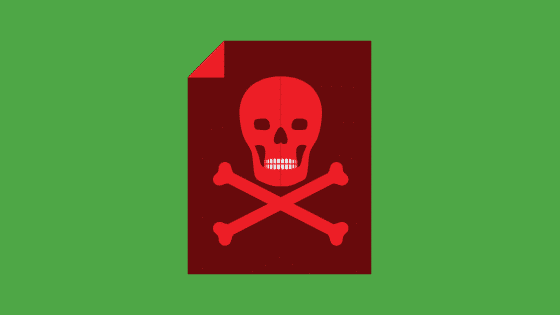 APT, Advanced Malware, or Targeted Threat? Please Note: This is the fourth article in a series. To start from the beginning, please click here. 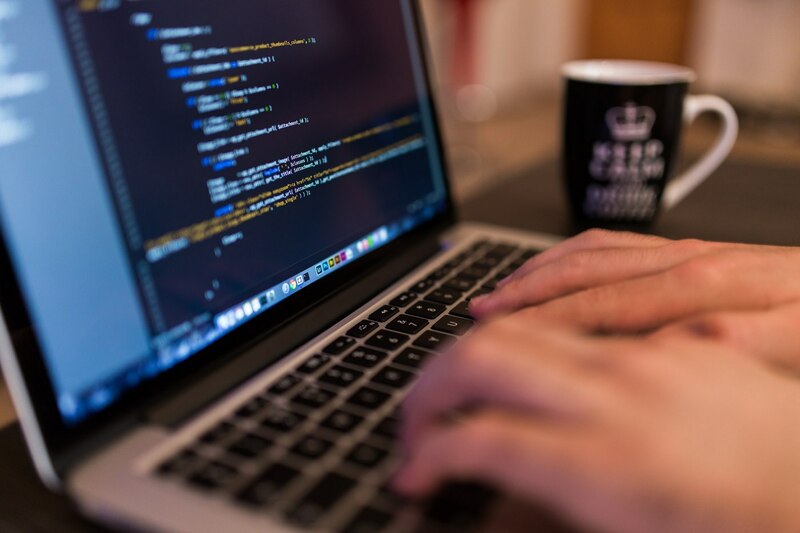 It seems as if you can’t go a day without reading a blog or news headline mentioning the loss of sensitive corporate data due to hackers successfully carrying out advanced persistent threat (APT) attacks. Are APT attacks really that frequent and how concerned should you be about them? In order to answer these questions, we must understand what an APT attack looks like and how it differs from other attacks. Please Note: This is the third article in a series. To start from the beginning, please click here. 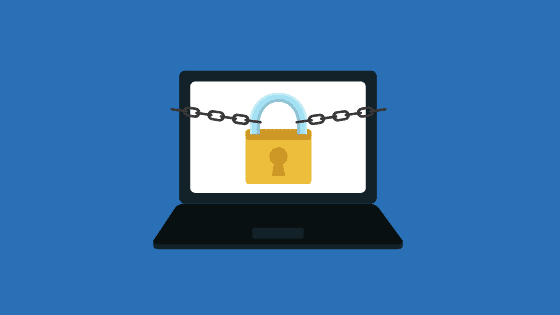 Information security is a challenge: continuously changing threat vectors, compliance requirements, budget constraints, and reduced staffing all add to an already complex situation. If you are struggling with how to address these concerns, a risk assessment might be a great place to start. Please Note: This is the second article in a series. To view the first of the series, please click here. 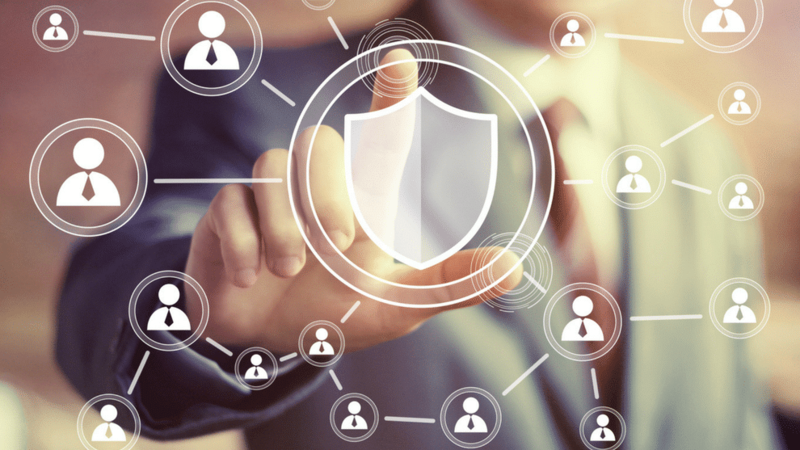 Your employees are your first line of defense in protecting your network’s security. As seen on USA’s show Mr. Robot, all it can take is one USB found in the company parking lot to peek interest as to the contents, maybe in hopes of identifying the owner, for a hacker to gain access to your network through that employee’s computer. Without the proper education, awareness, and engagement, employees are not equipped to make decisions that continue to protect your network, let alone understand how they may be making the network more vulnerable. What Brings the Dark Lords to Your Enterprise? 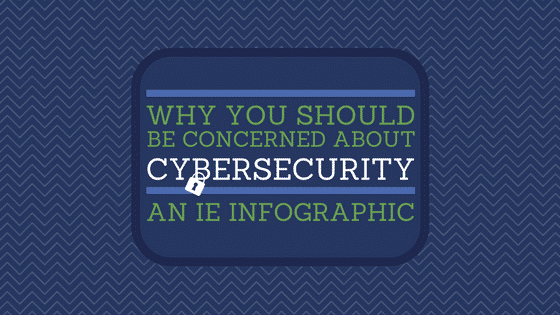 Your network is attractive to hackers, it's important to know why and what they're looking for. Please Note: This is the first article in a series. Nowadays the questions isn’t if you’re going to get attacked, but when and how frequently. It’s a reality that everyone has come to accept but for some reason we still think, in the back of our minds, that it won’t happen to us. (We’ll deny it if you ask.) For you to truly accept that hackers are out there to get you, like monsters under your bed, you have to understand why they are there in the first place. Then you’ll no longer see them as invisible threats but rather ones that are knocking on the doors of your network, trying to see if anyone is home or maybe left the door unlocked. Internetwork Engineering (IE), today announced it has been named to The Triangle Business Journal’s The List: IT Networking Companies, taking the number 2 spot just behind Cisco Systems. Companies on The List were ranked by 2014 networking revenue, including revenue from within the Research Triangle area of North Carolina (Raleigh, Durham, and Chapel Hill). Internetwork Engineering (IE), today announced it has been named to The Channel Company's 2015 CRN Solution Provider 500. The annual list, spanning eight categories, from hardware and software sales to managed IT services, recognizes the top revenue-generating technology integrators, MSPs and IT consultants in North America. Solution providers are ranked based on revenue, determined by product and services sales during 2014. Internetwork Engineering (IE) today announced it has been named to The Channel Company's CRN Tech Elite 250. This annual list recognizes an elite group of IT solution providers that have invested in the training and education needed to earn the most advanced technical certifications from leading vendors. Internetwork Engineering (IE) today announced it has earned recognition on The Channel Company's 2015 CRN Managed Service Provider (MSP) 500 list as one of the MSP Elite 150. This annual list distinguishes the top technology providers and consultants in North America whose leading approach to managed services enables their customers to improve operational efficiencies, elicit great value from their IT investments, and successfully leverage technology to acheive greater competitive advantage.